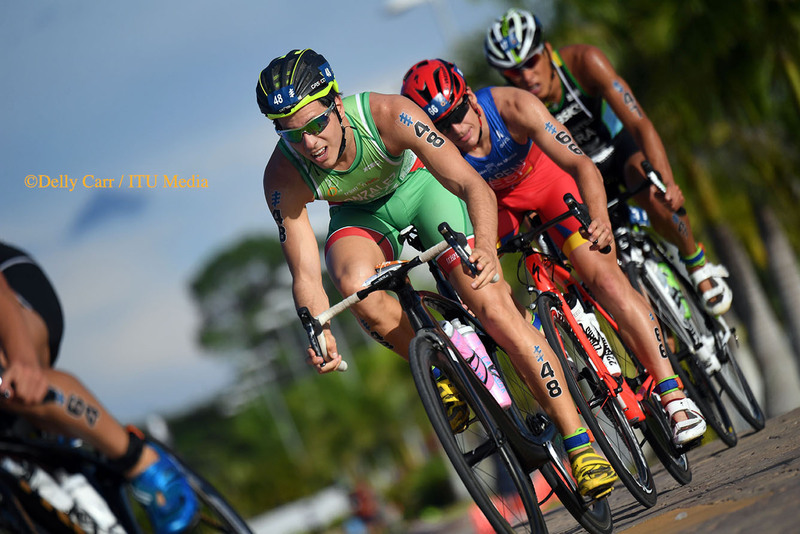 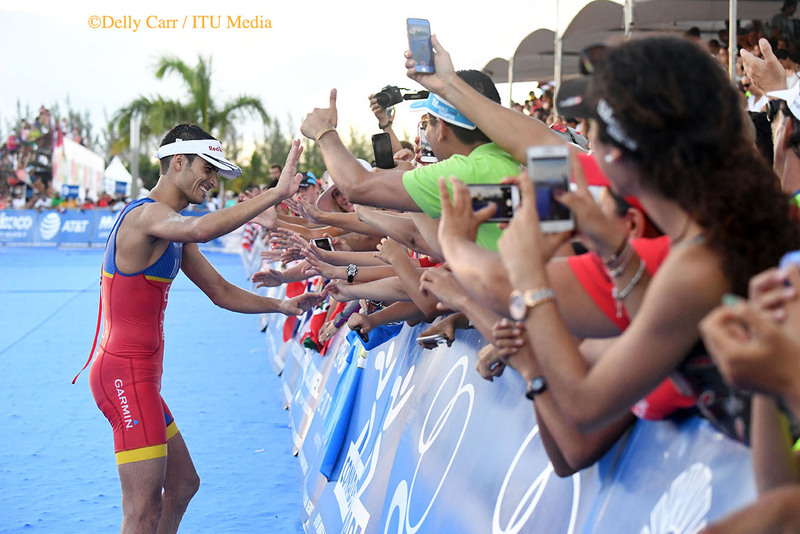 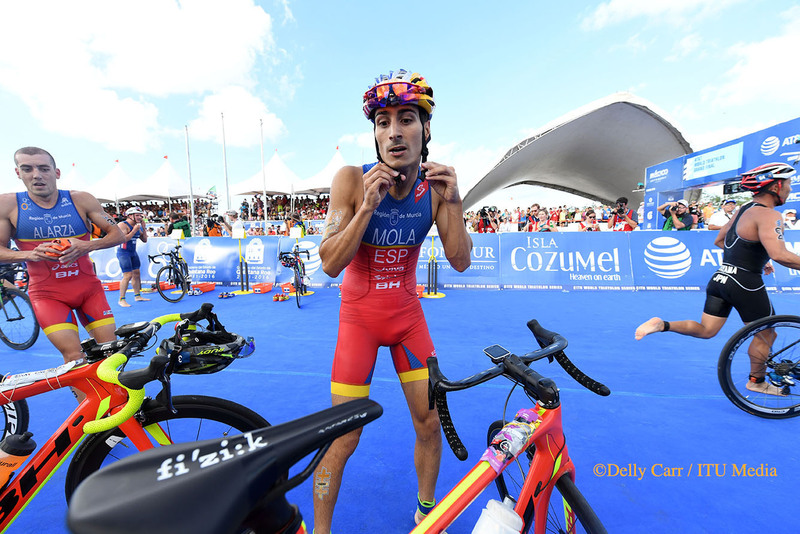 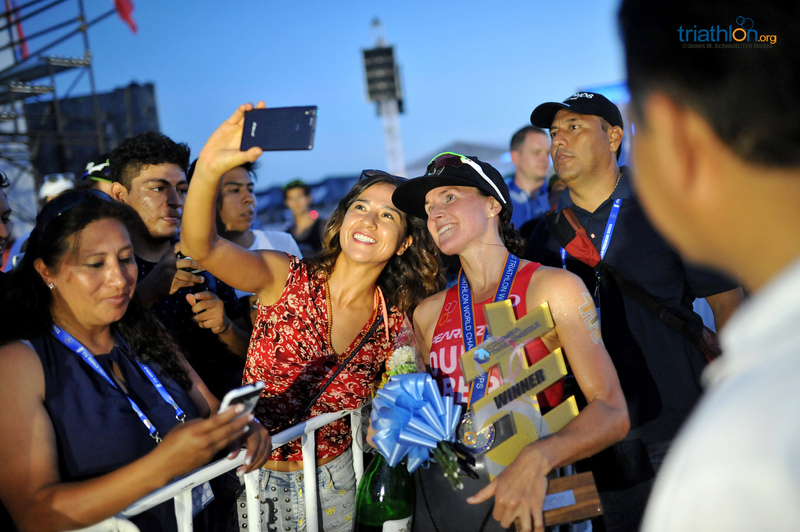 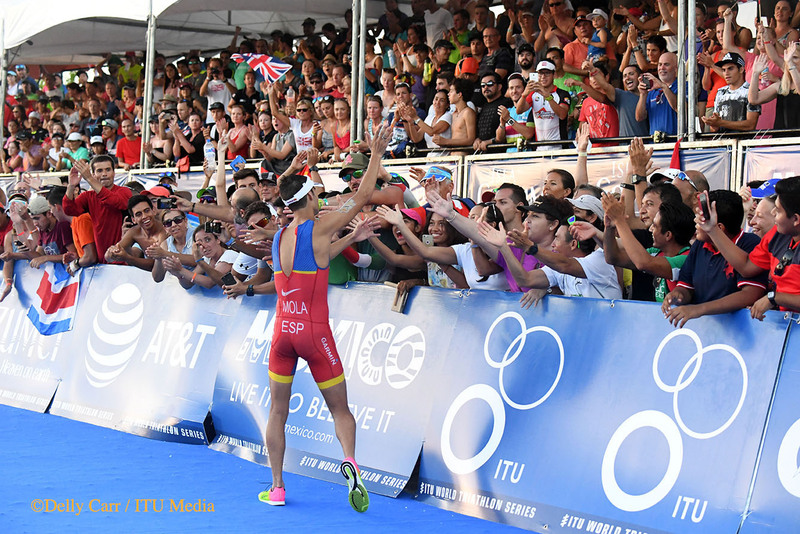 Spain will add another name to their list of world champions after Mario Mola’s fifth place finish in the ITU World Triathlon Grand Final Cozumel saw him win the 2016 ITU World Championship title in a dramatic finish by just four points. 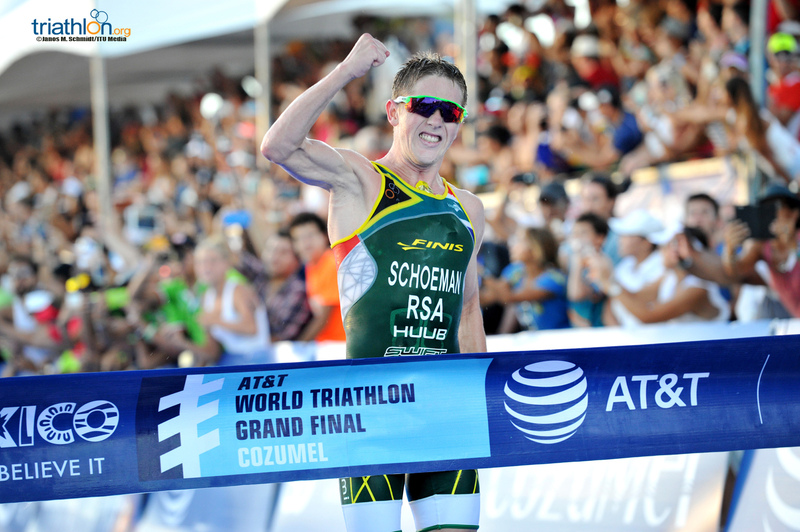 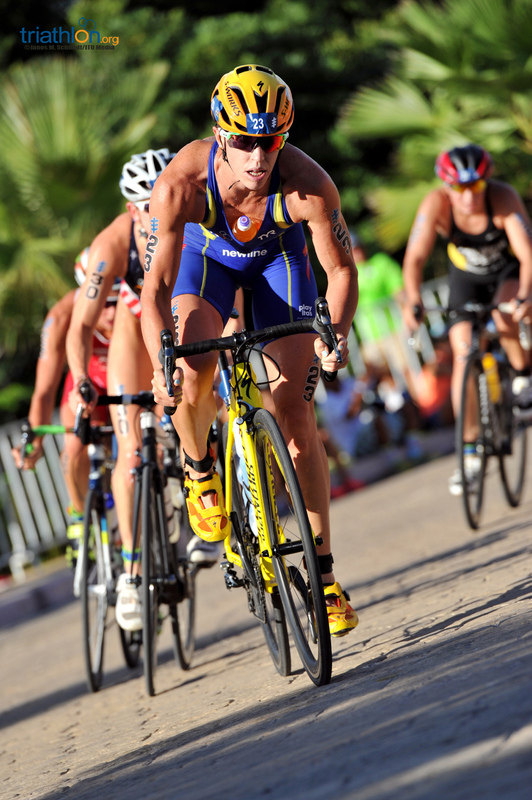 Earning the gold for the race was South Africa’s Henri Schoeman, his career first World Triathlon Series win. 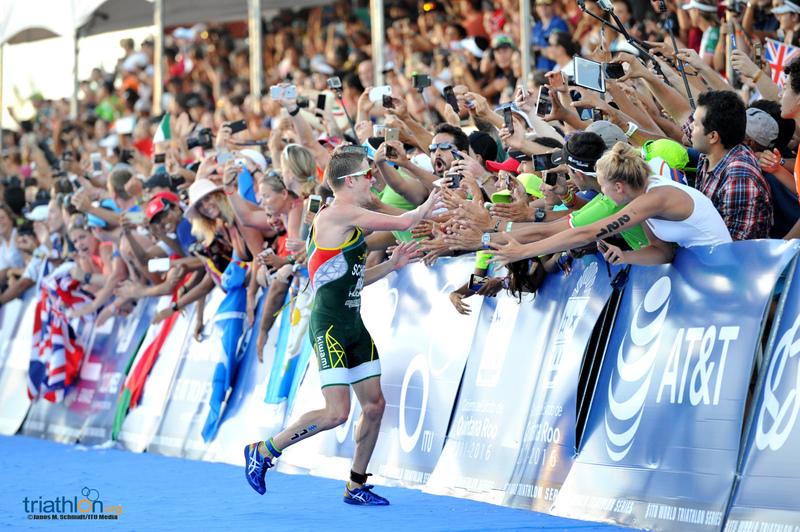 The win came in the final 500m, as Schoeman bypassed Jonathan Brownlee (GBR), who struggling in the heat, and Alistair Brownlee (GBR), who had stopped to help will his brother over the line. 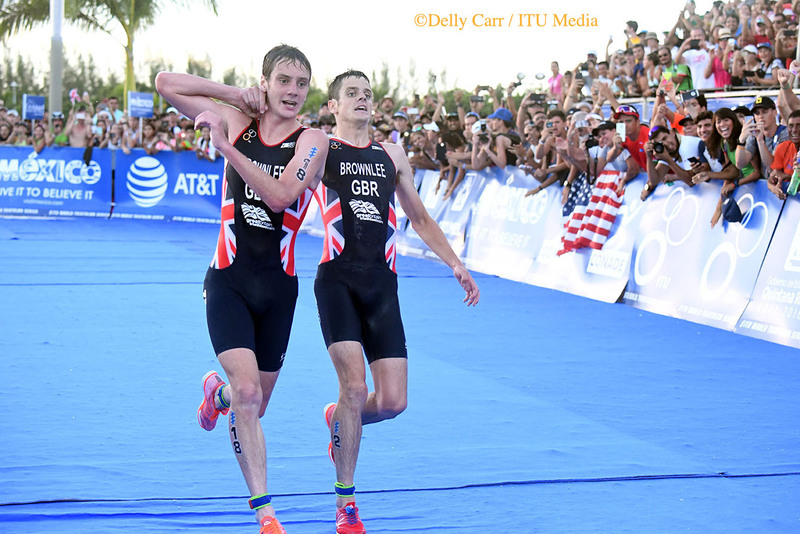 Alistair, who won Olympic gold while his brother took silver in Rio last month, assisted Jonny to continue racing, wrapping his arm around him and helping him run stride for stride. 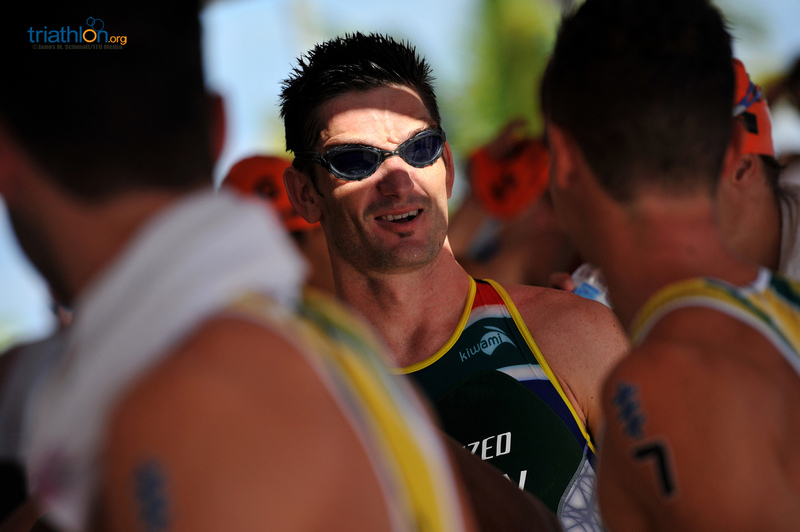 With Mola back more than a minute, second was Jonny’s best shot at taking the world title. 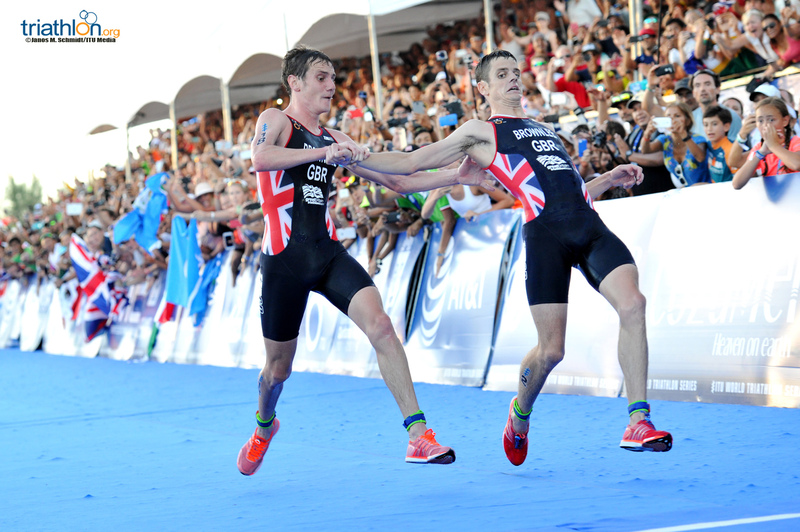 Wobbling down the finish chute, the brothers managed to scurry across with Jonny taking silver and Alistair winning bronze on the day. 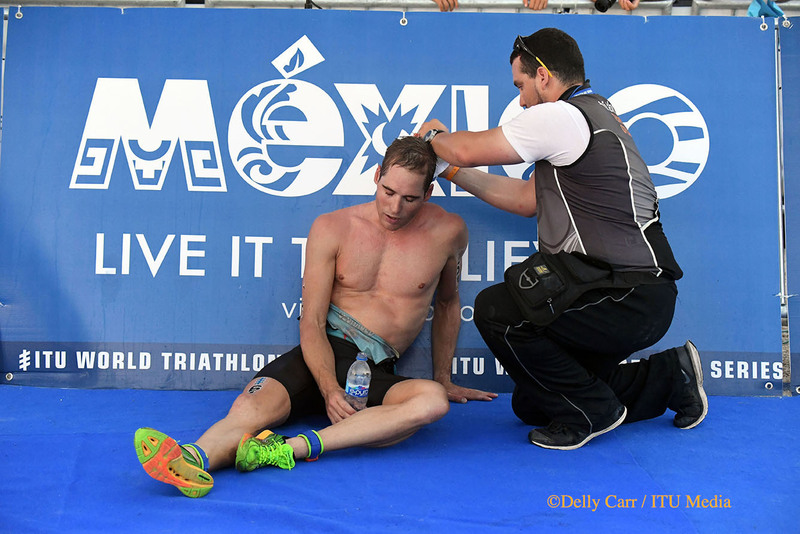 However, a quickly charging Mola, who got wind of Jonny’s state from his support team, and found a late surge to maintain his top ranking in the Columbia Threadneedle Rankings with a fifth-place finish. 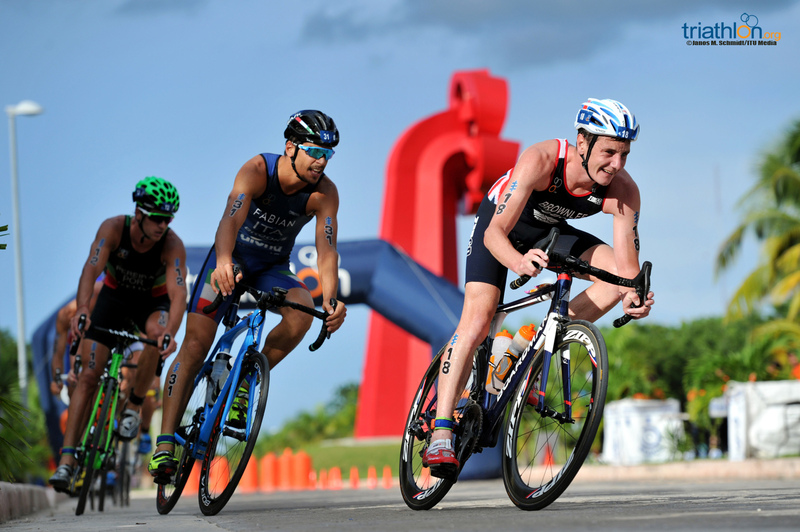 That meant Jonathan finished in second-place overall for the season, with Fernando Alarza maintaining his third-place in the Columbia Threadneedle Rankings. 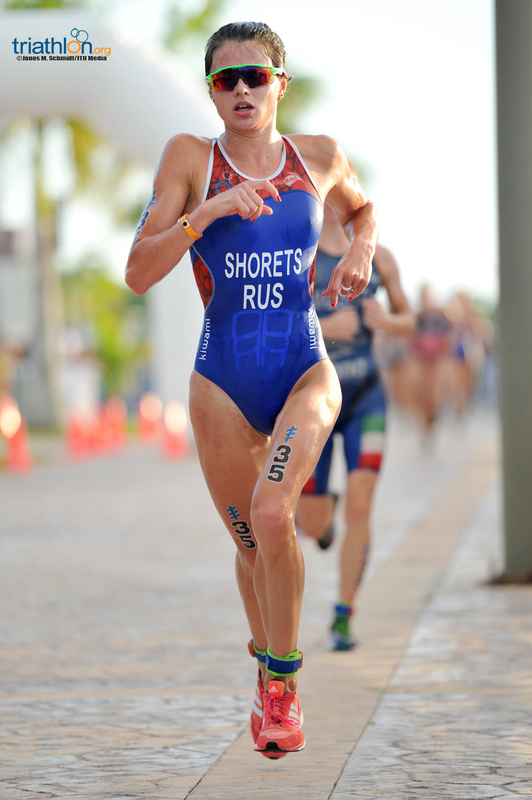 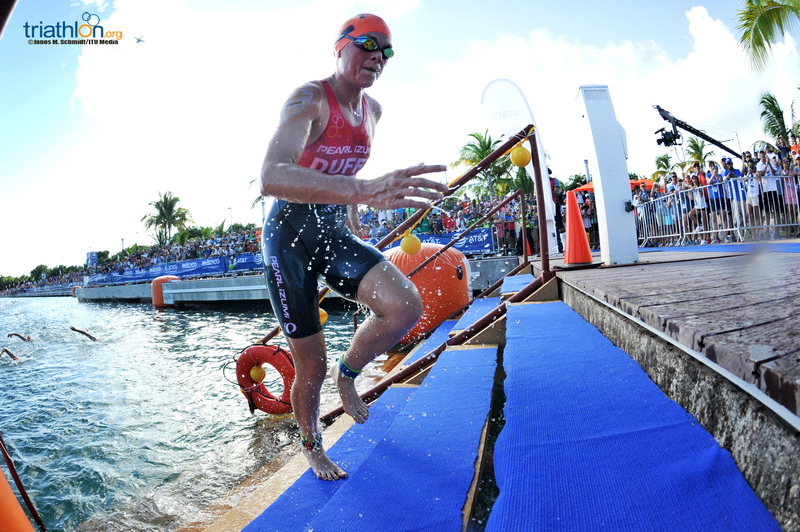 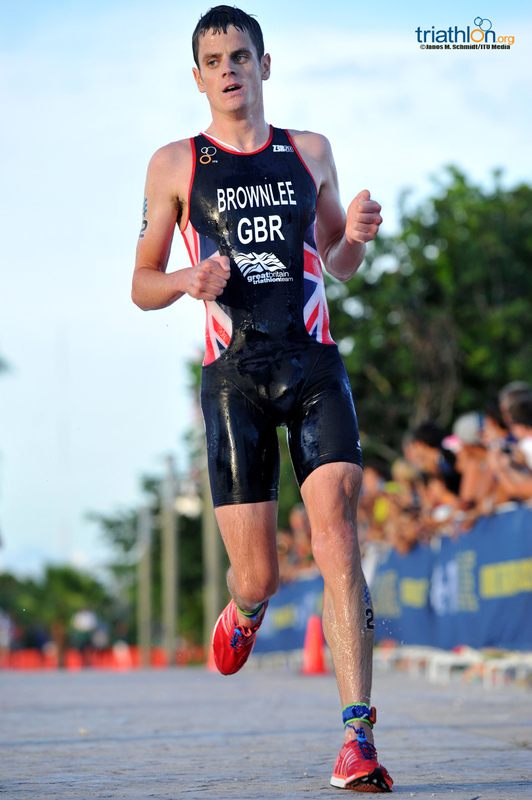 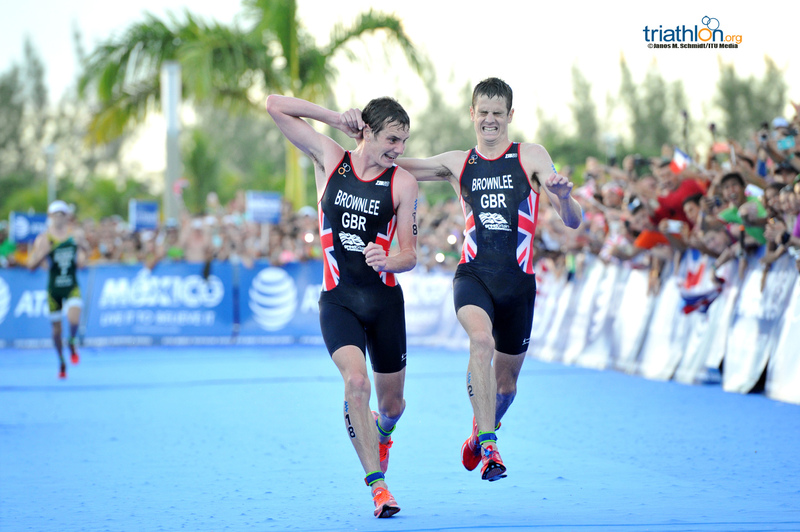 Following an appeal by the Spanish Triathlon Federation to disqualify Jonathan Brownlee for accepting assistance from Alistair Brownlee to finish the 2016 ITU World Triathlon Grand Final Cozumel, during which Jonathan struggled with heat exhaustion in the final portion of the run, the ITU competition jury unanimously ruled against disqualifying Jonathan. 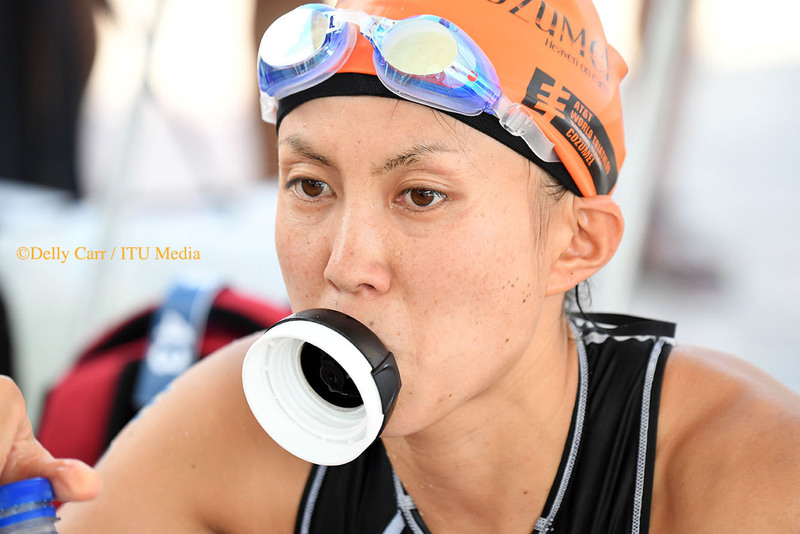 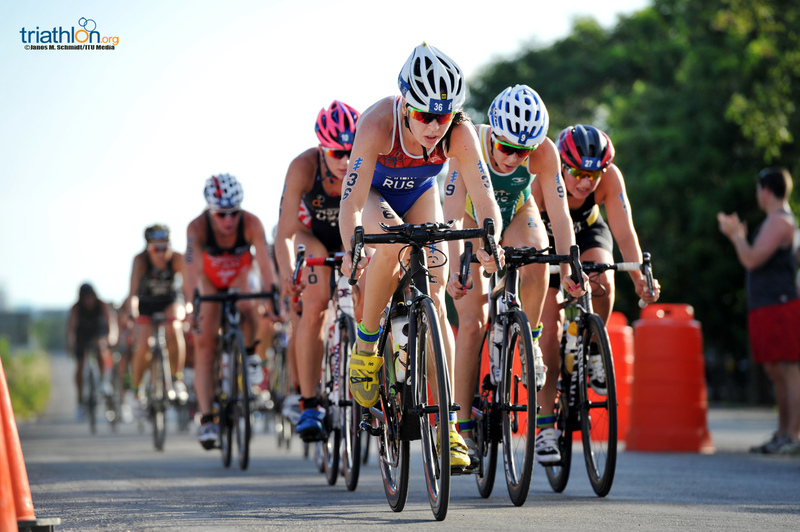 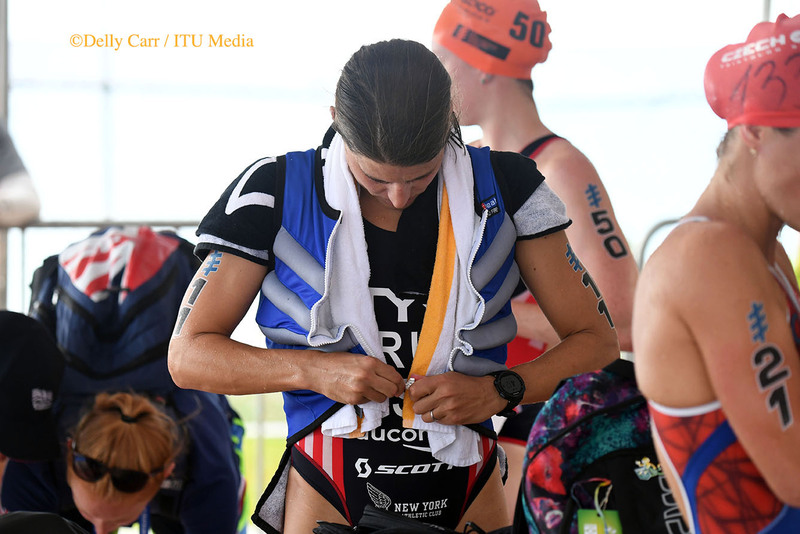 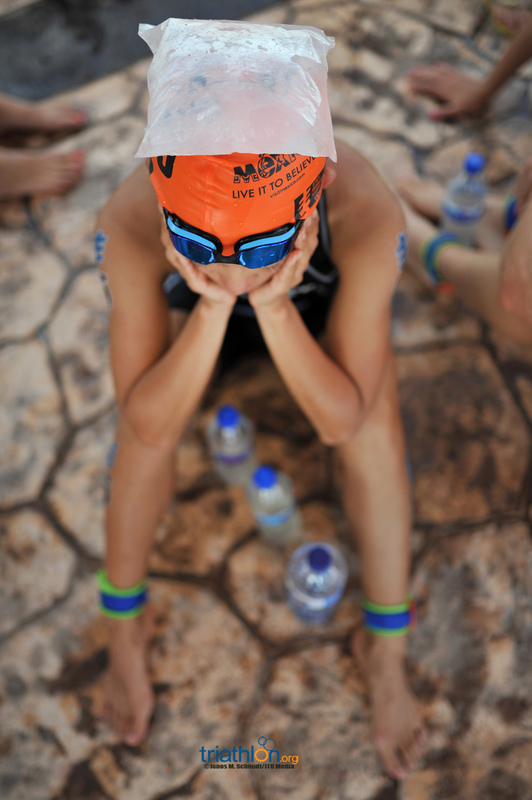 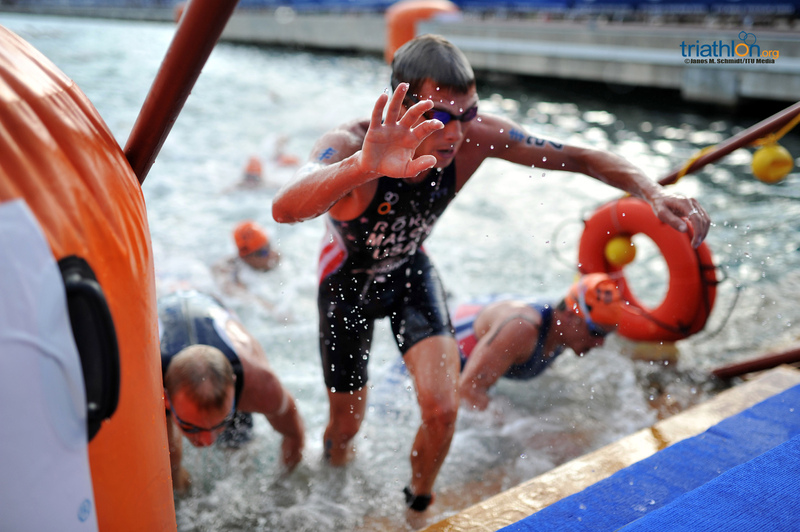 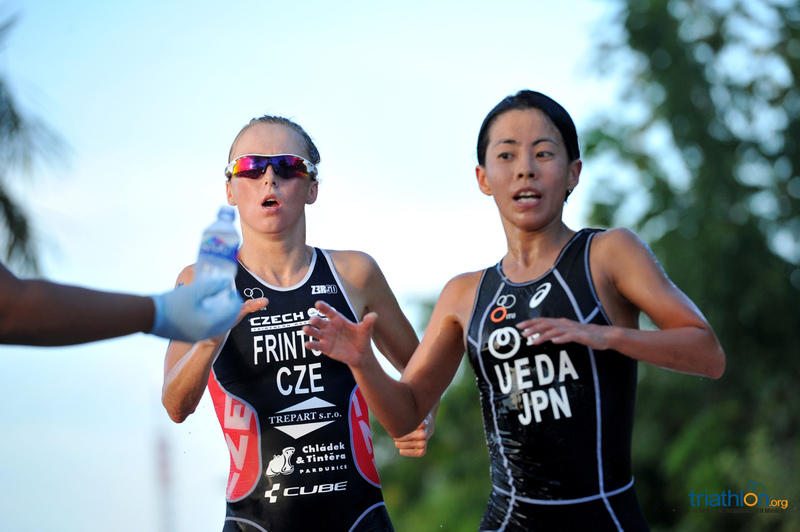 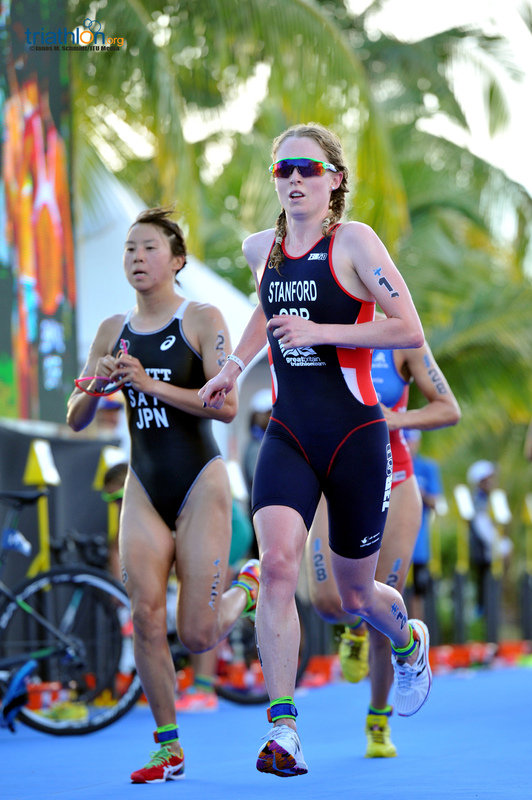 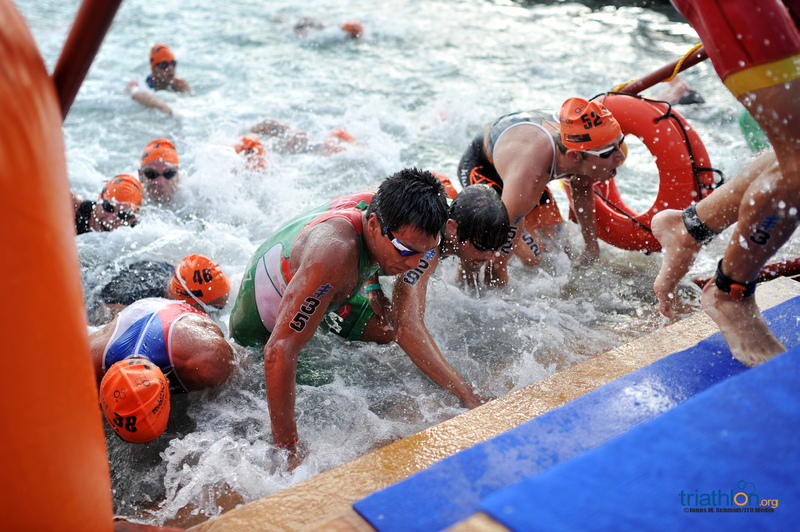 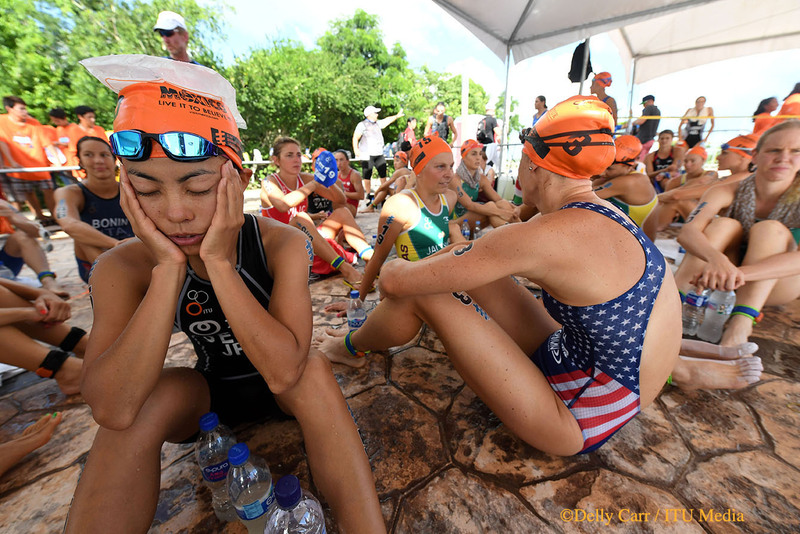 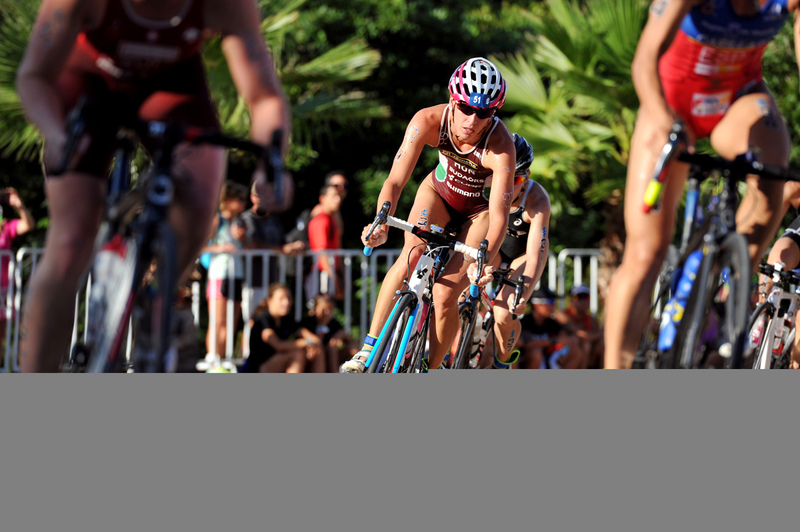 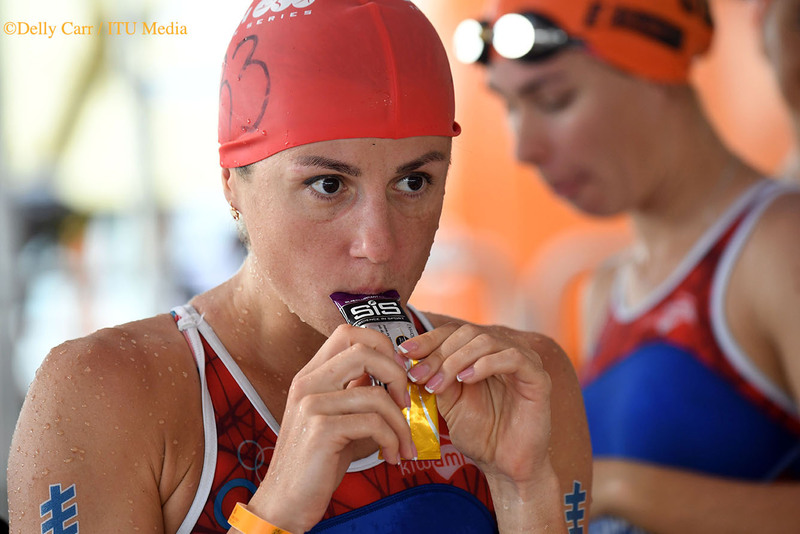 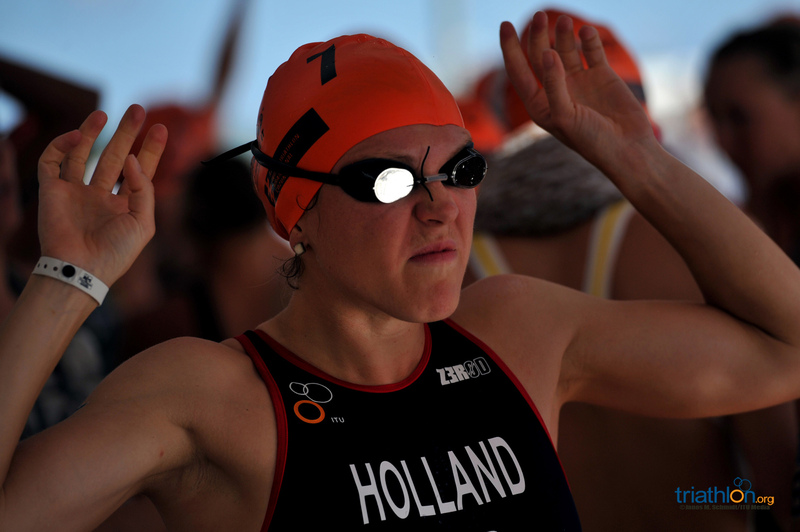 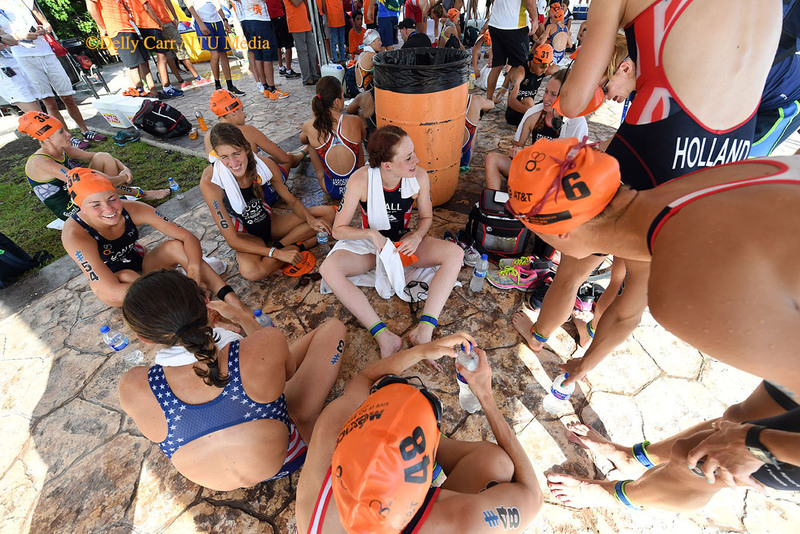 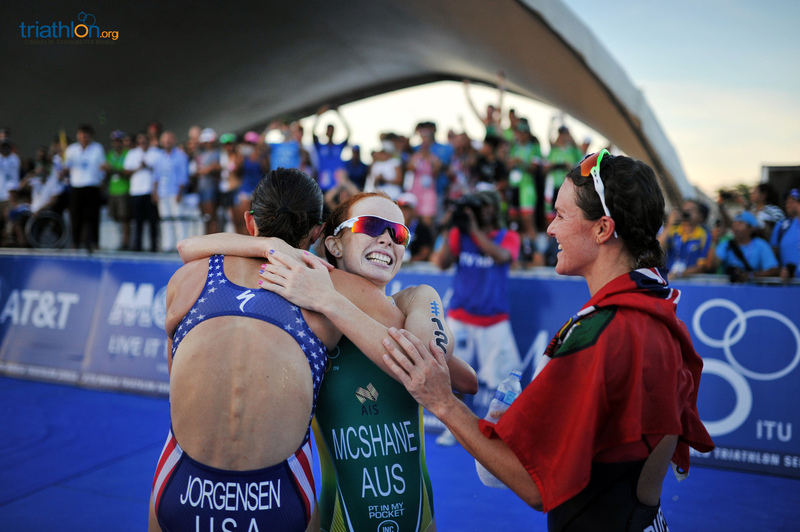 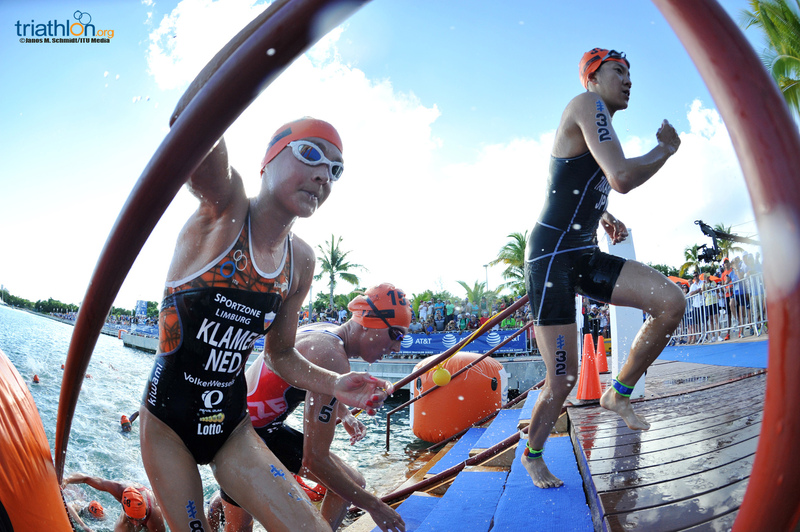 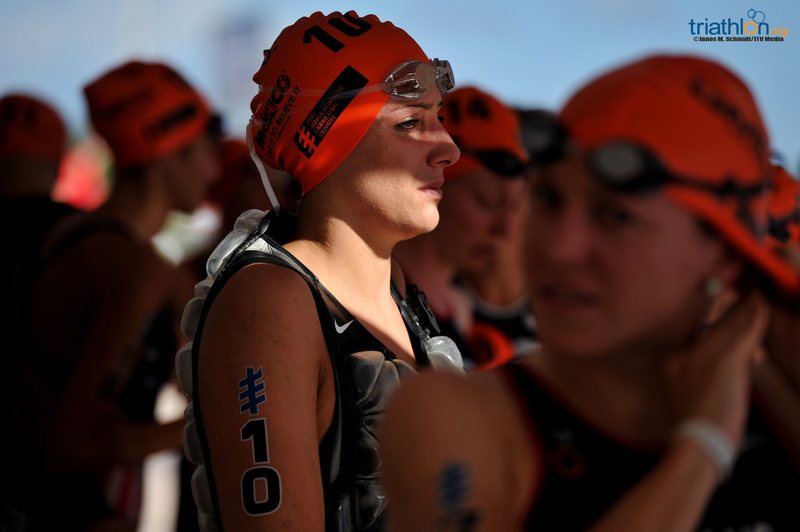 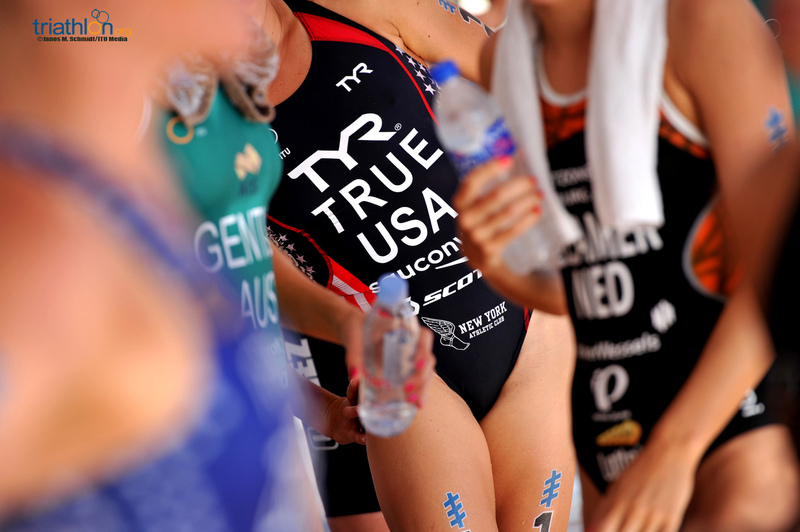 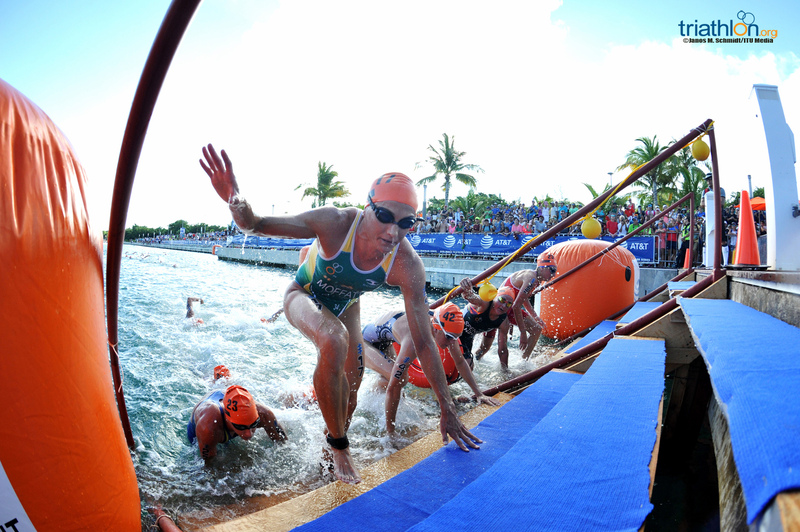 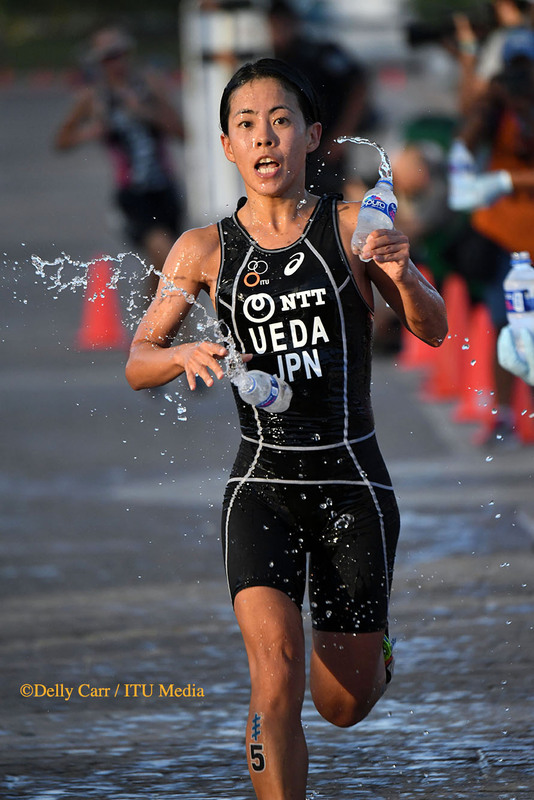 The ITU Competition Jury made this decision in accordance to Appendix K, Rule 7, which states that athletes can receive help from another athlete, Technical Official or Race Official. 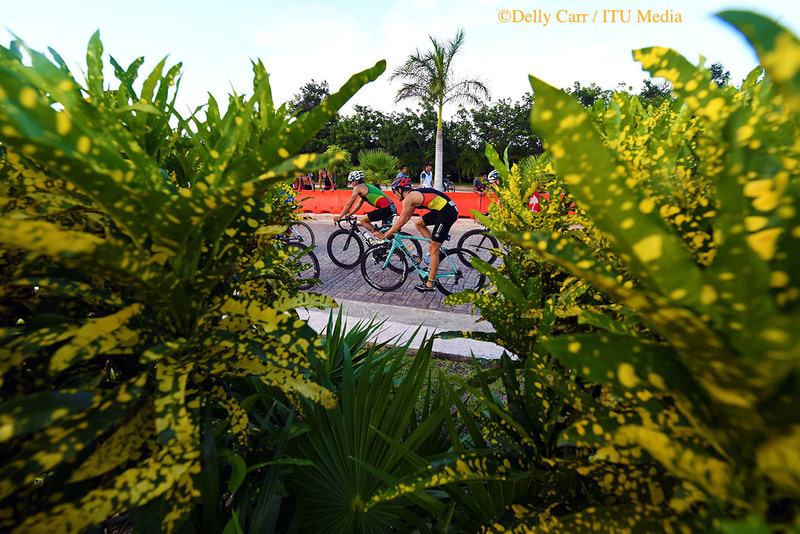 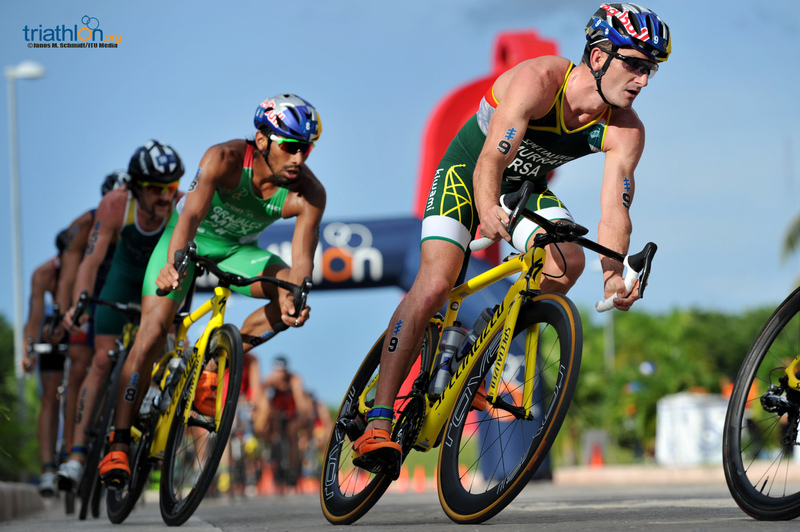 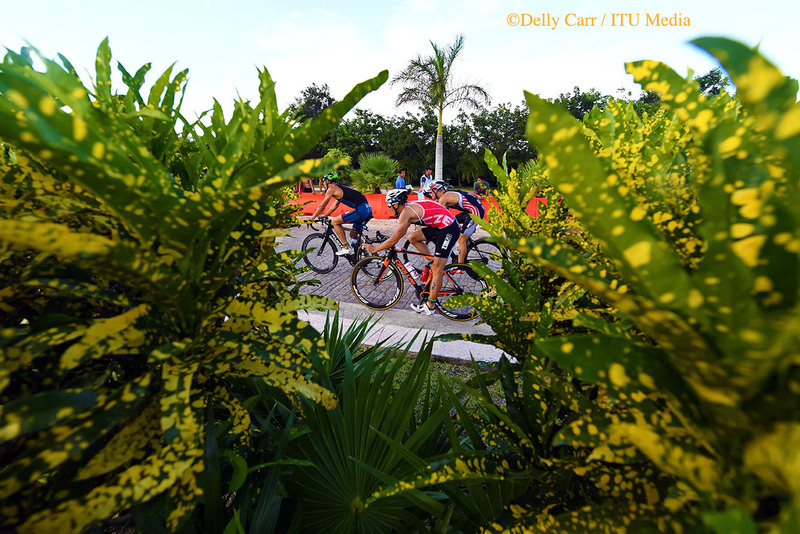 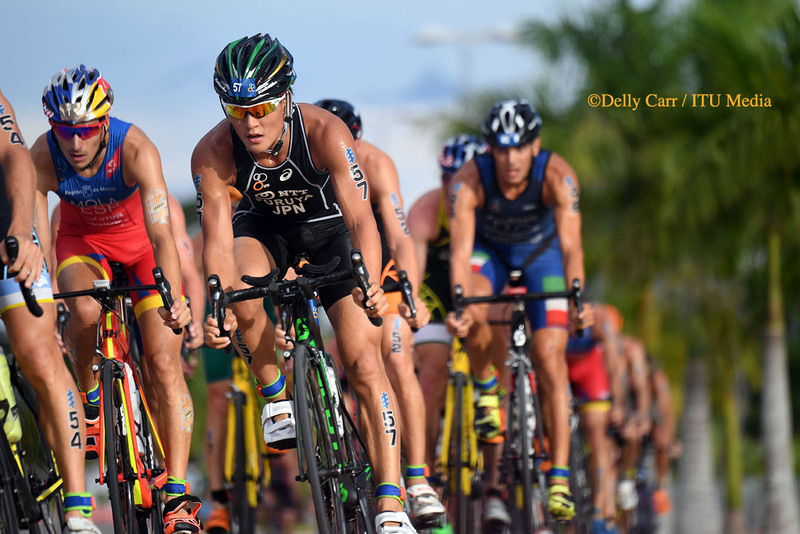 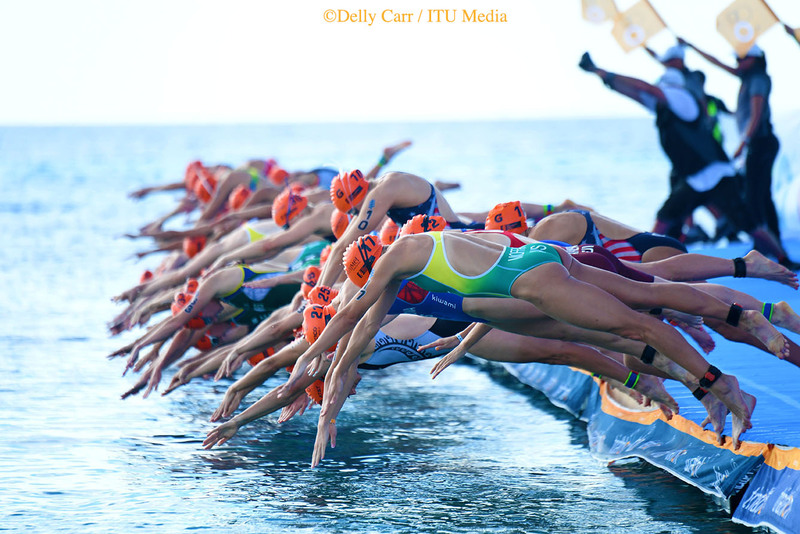 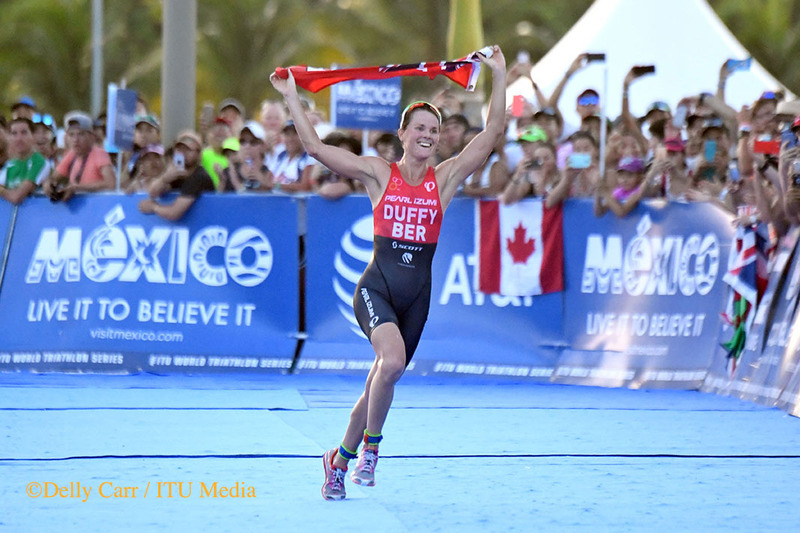 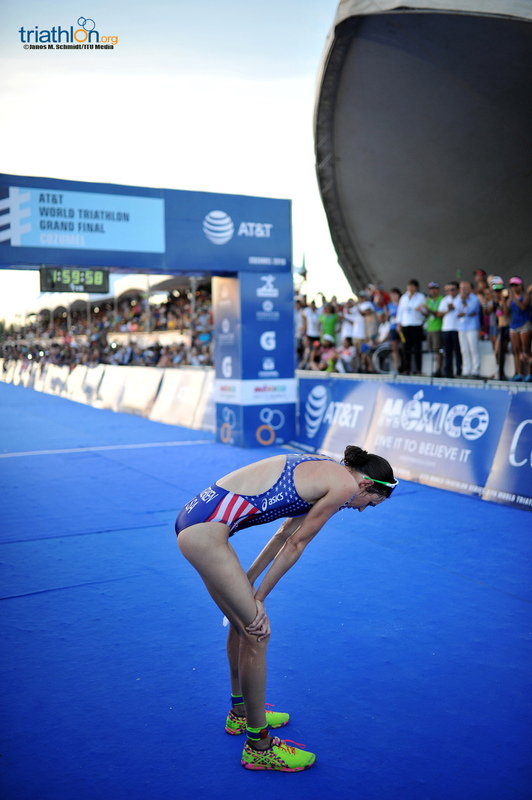 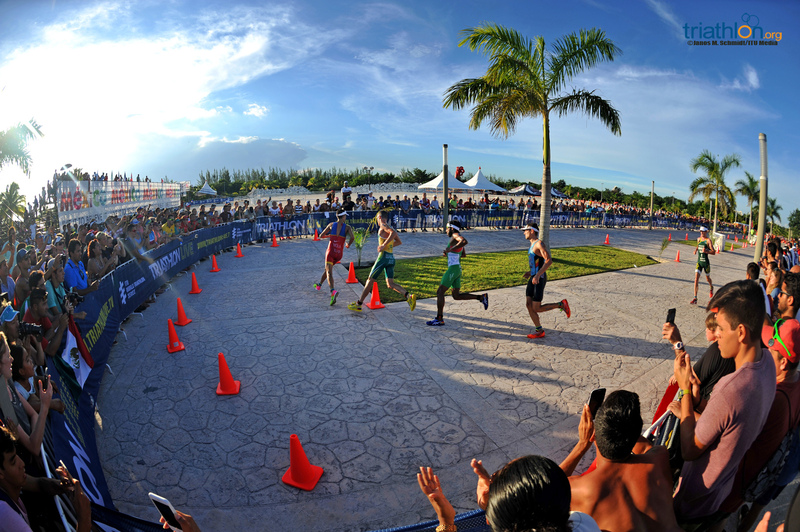 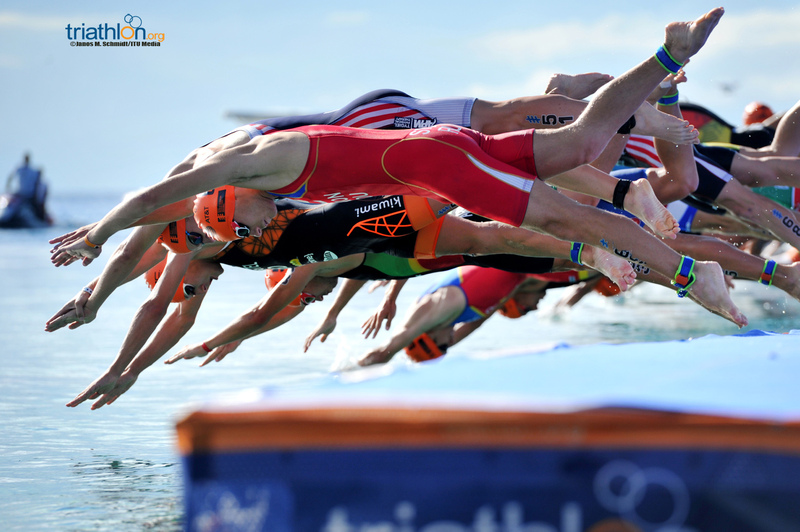 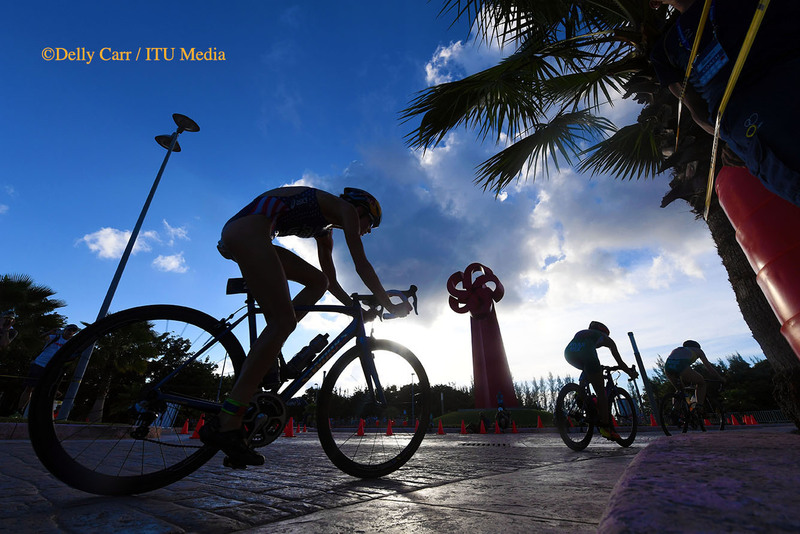 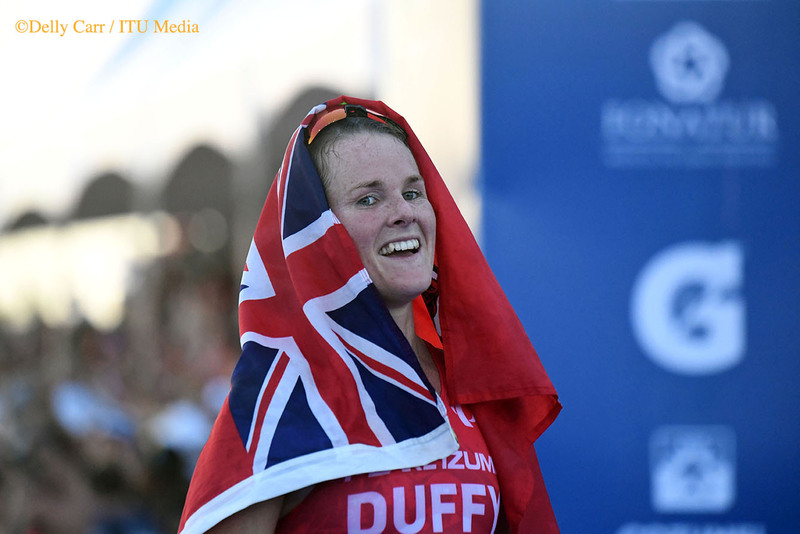 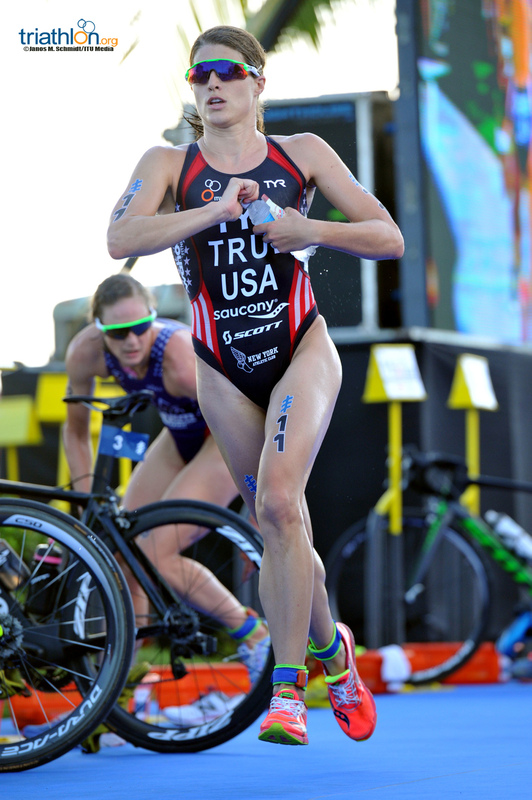 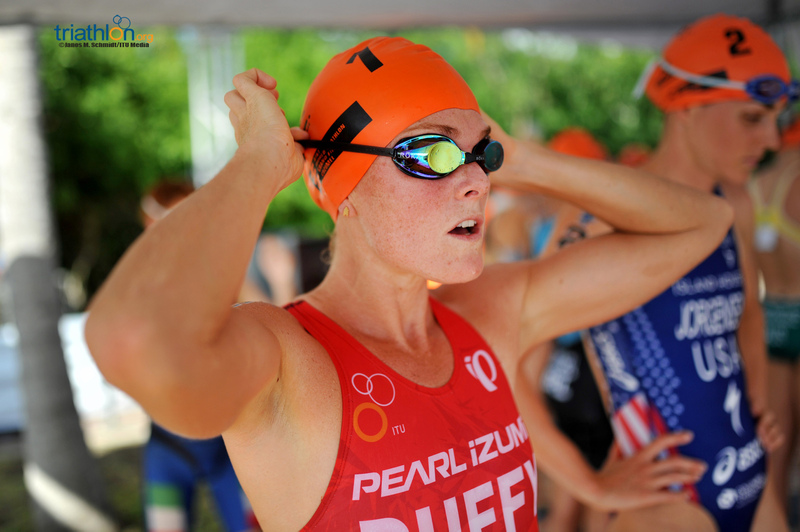 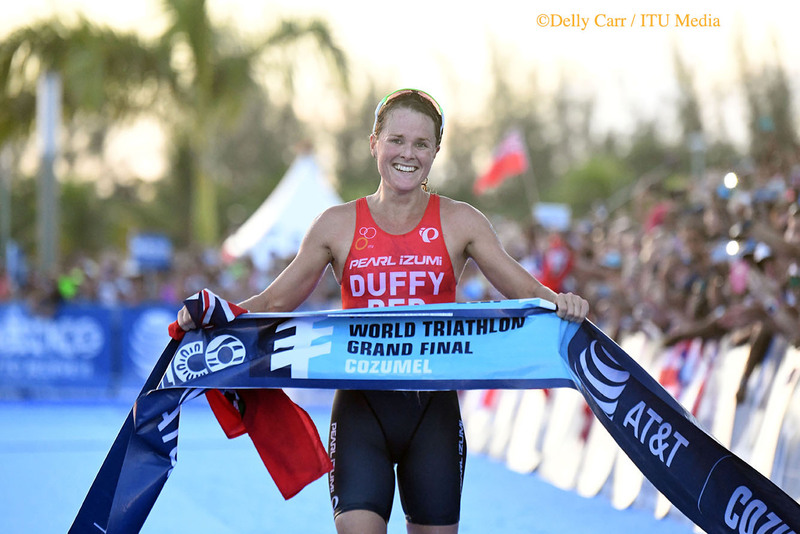 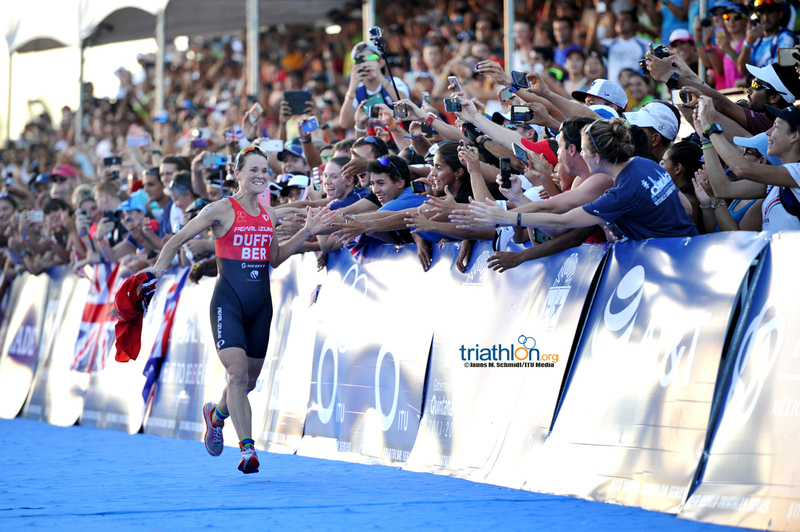 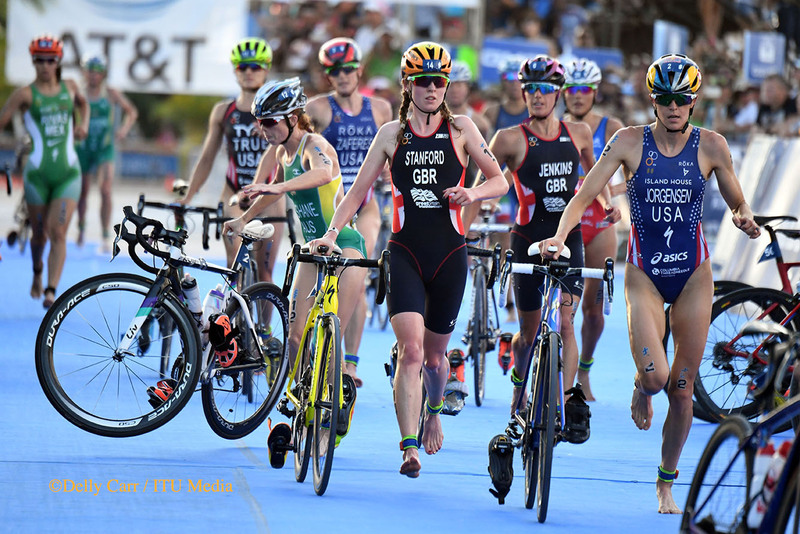 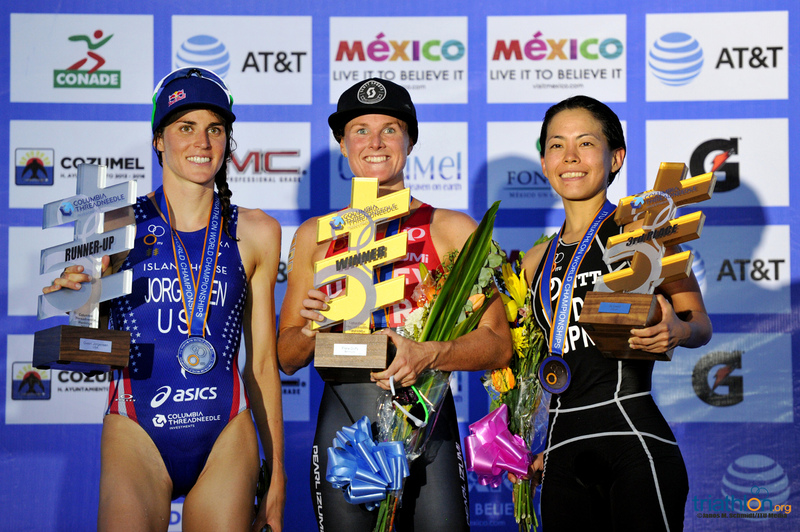 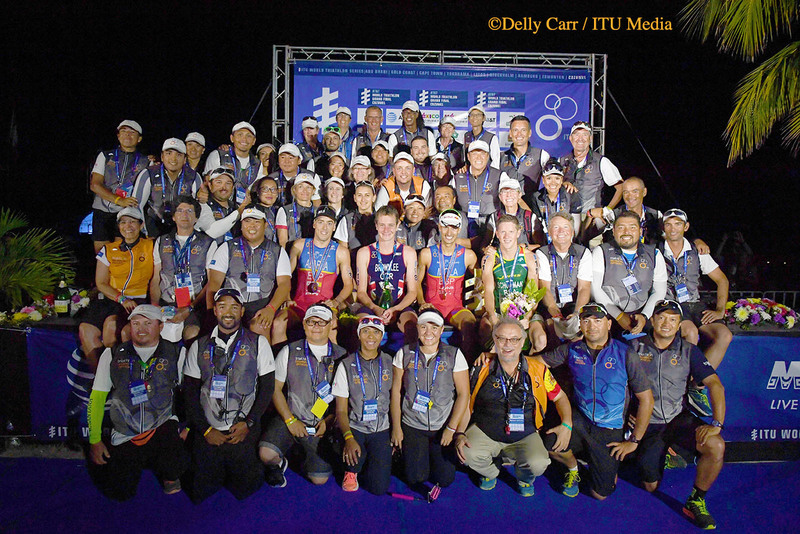 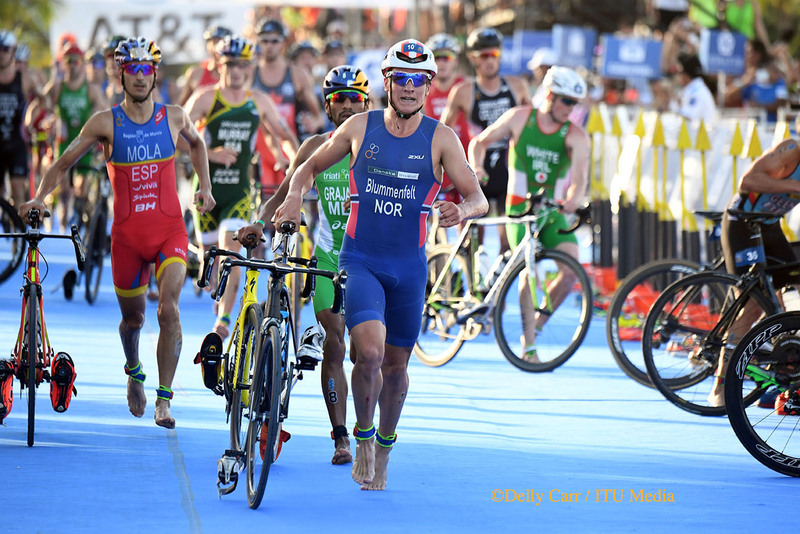 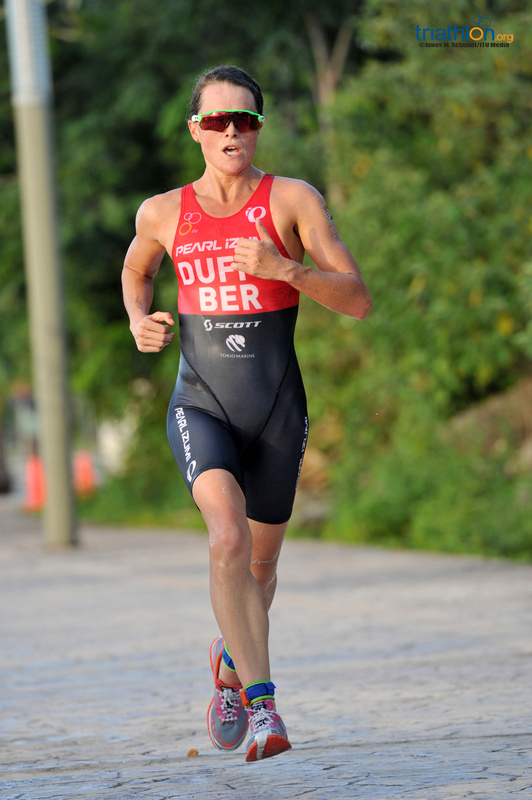 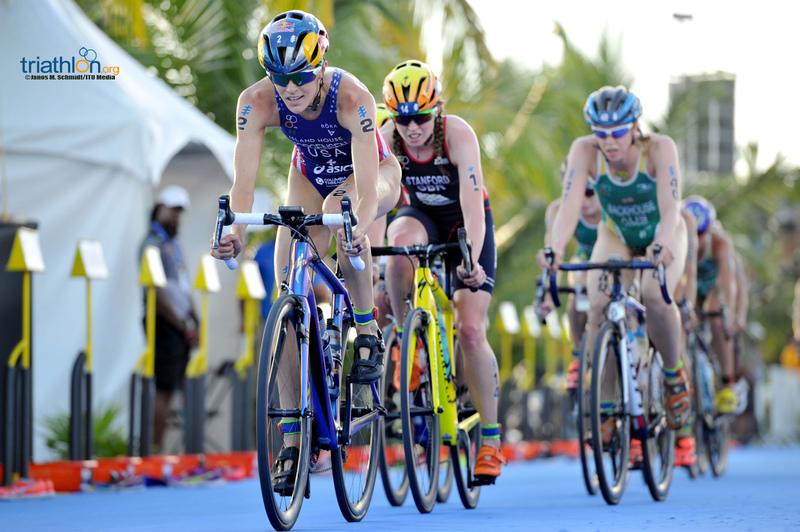 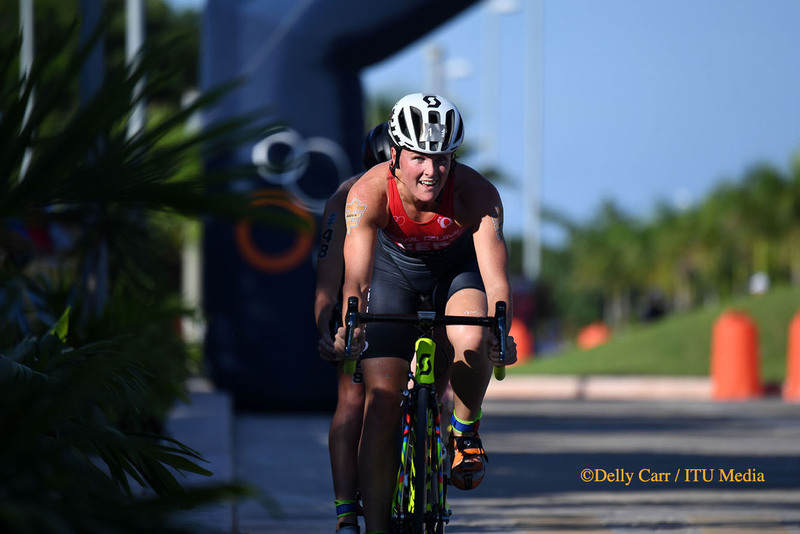 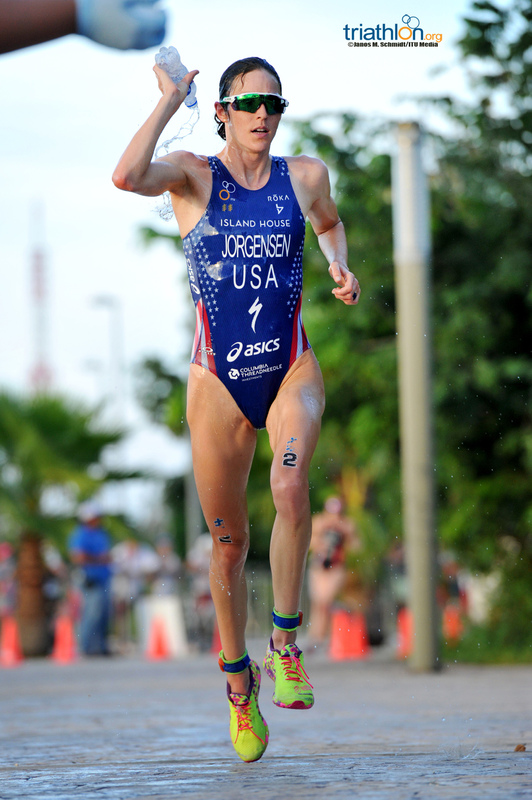 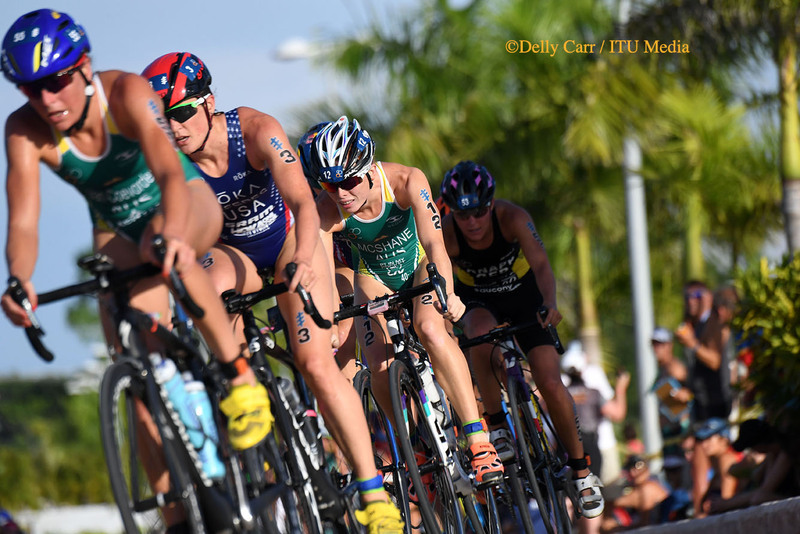 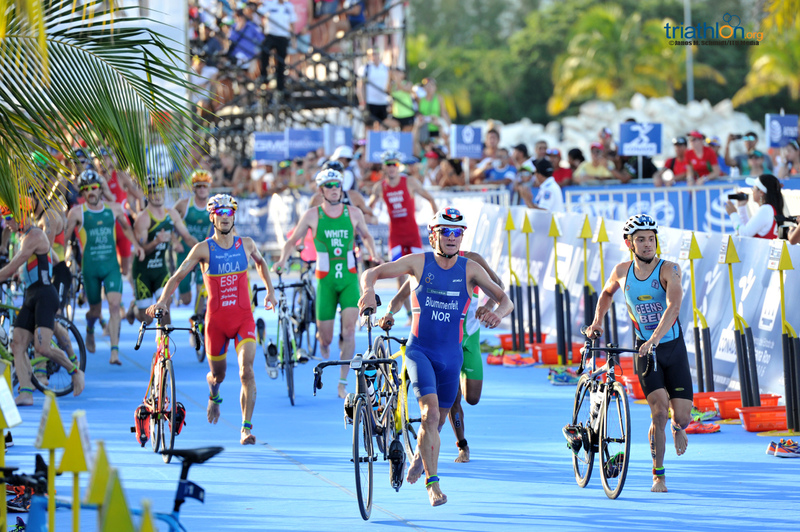 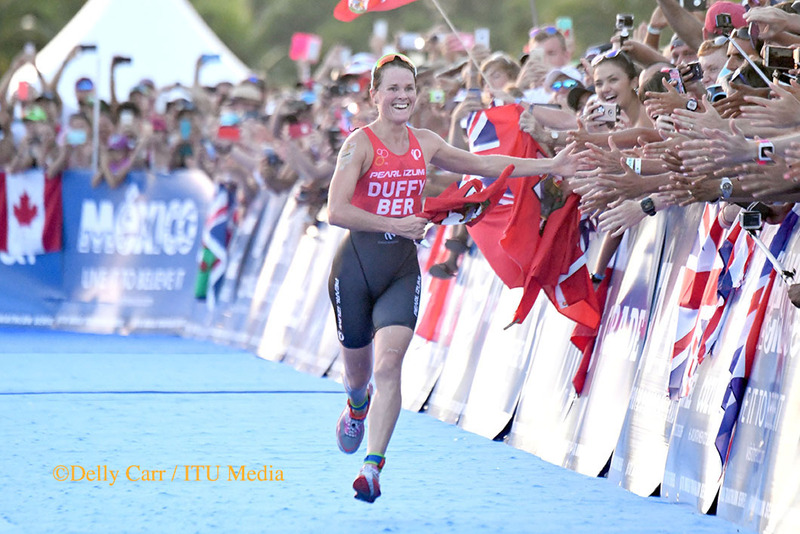 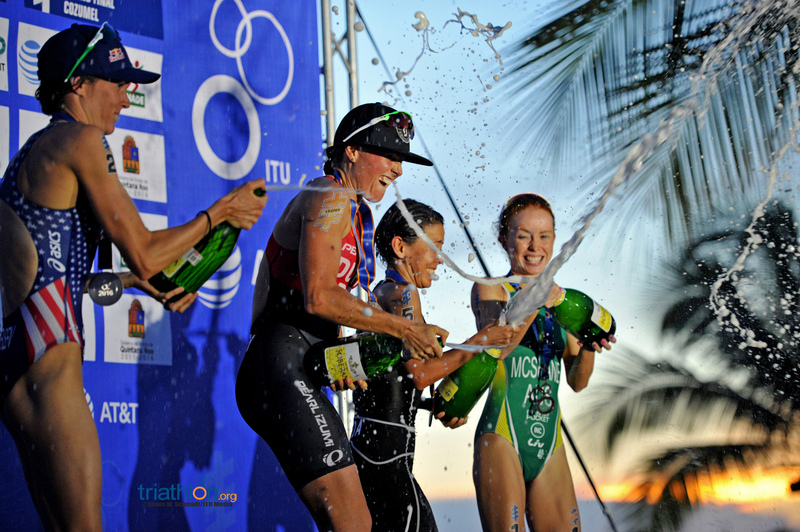 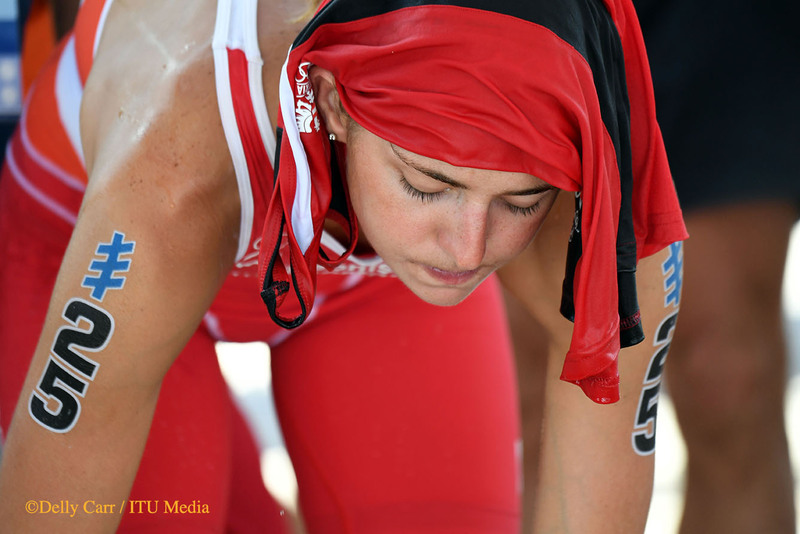 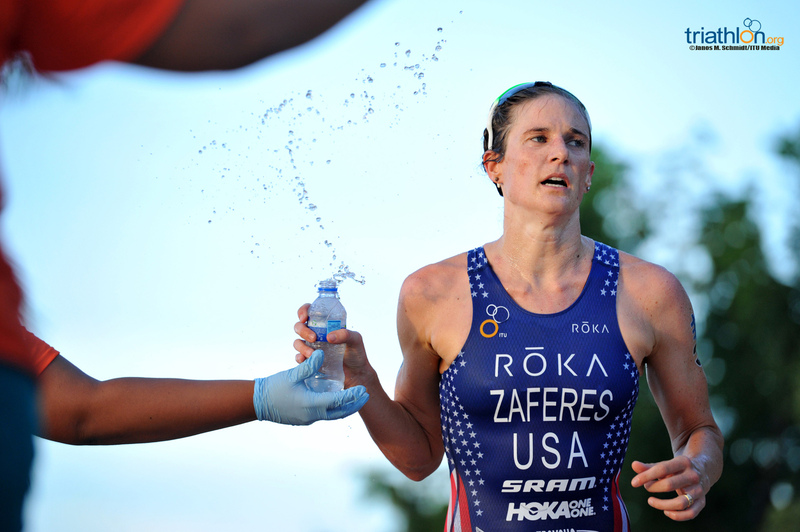 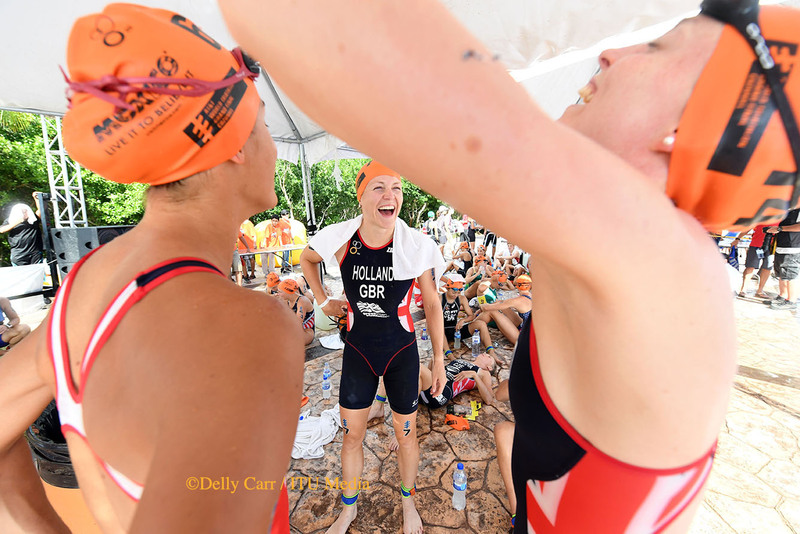 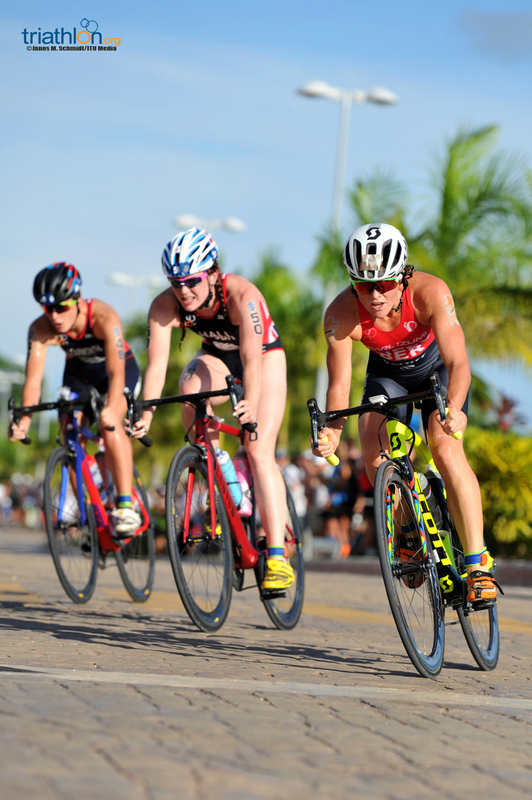 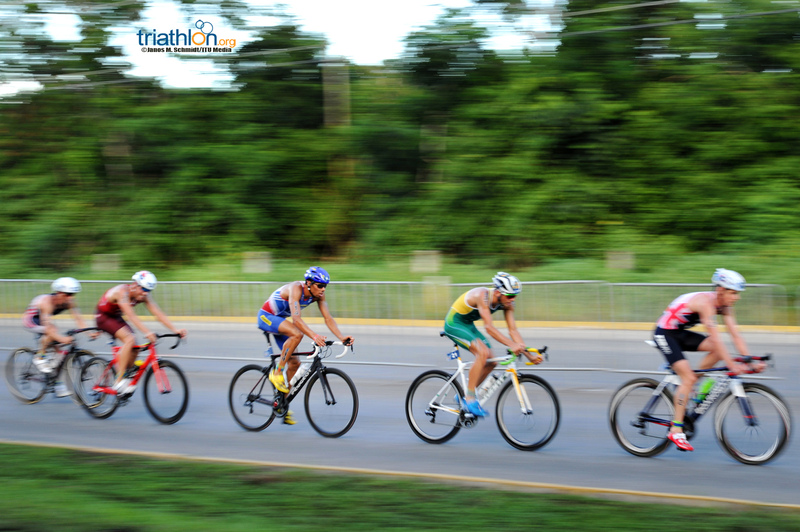 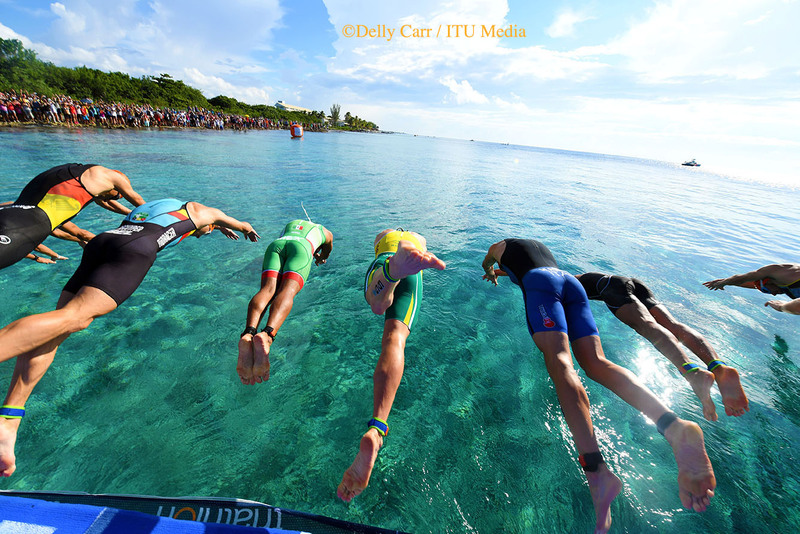 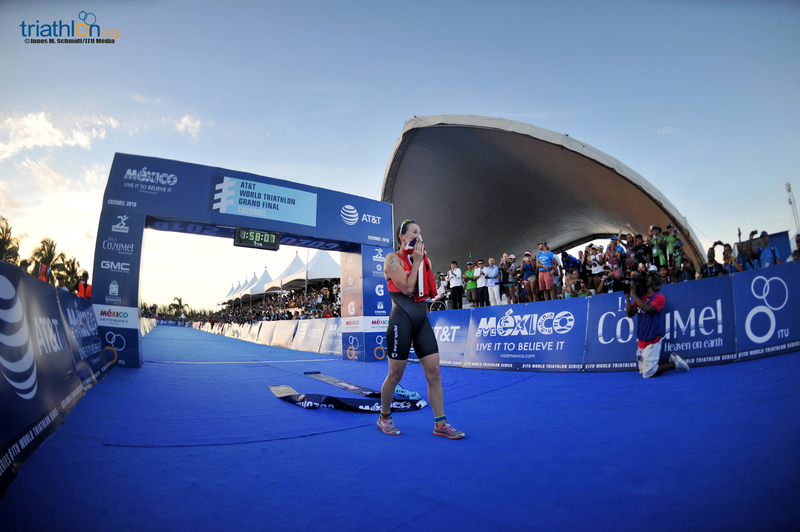 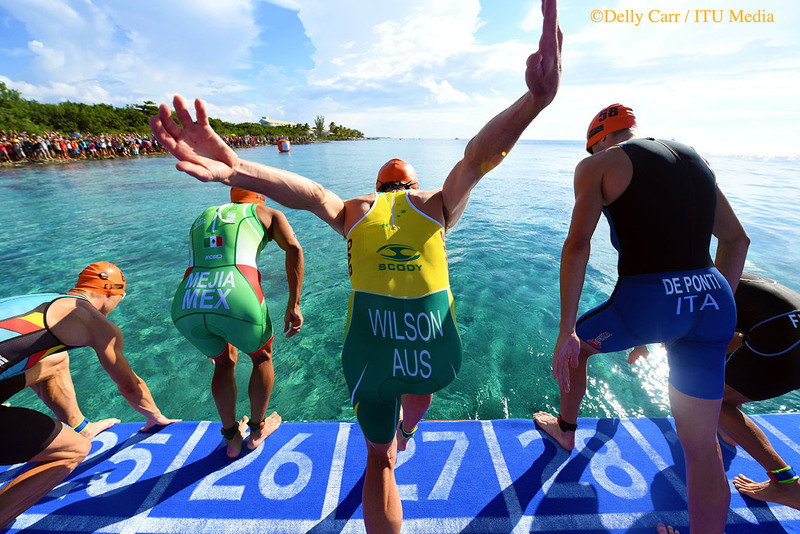 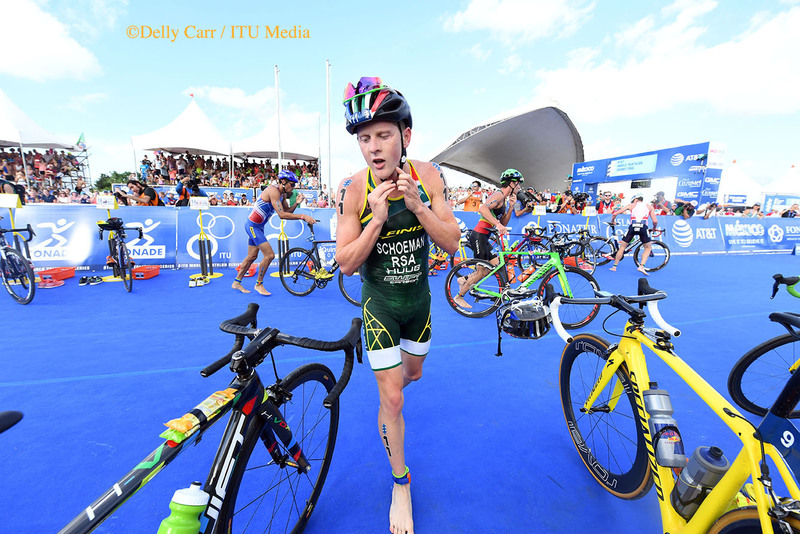 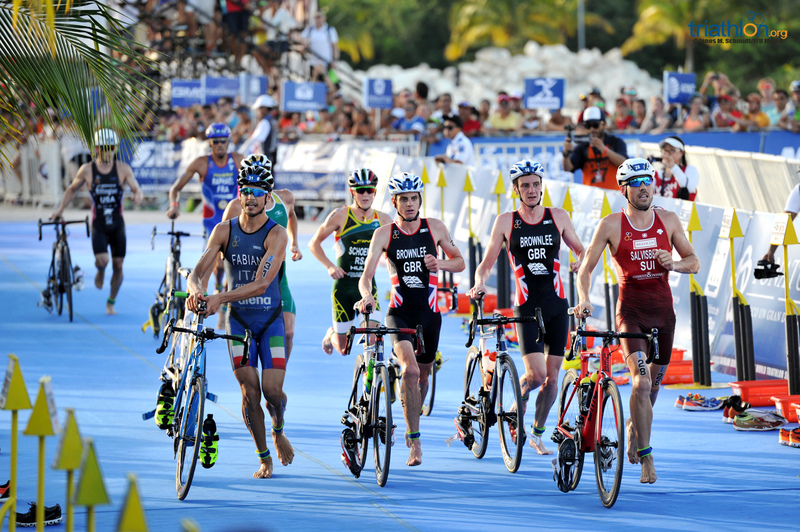 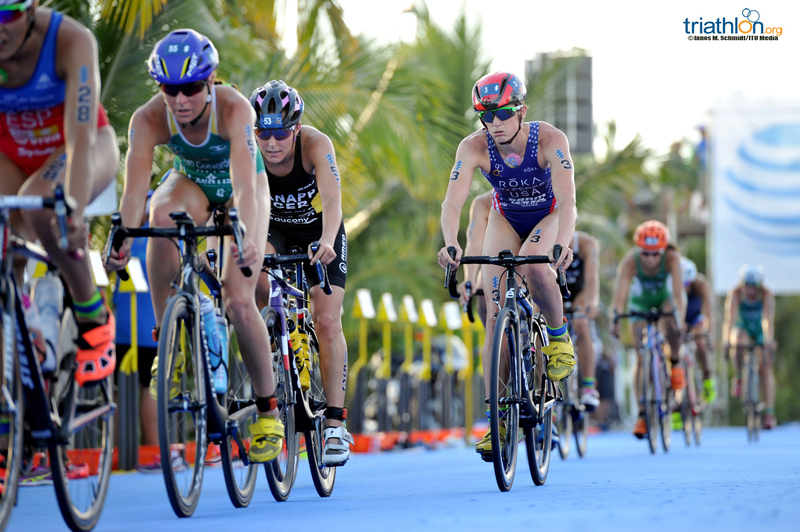 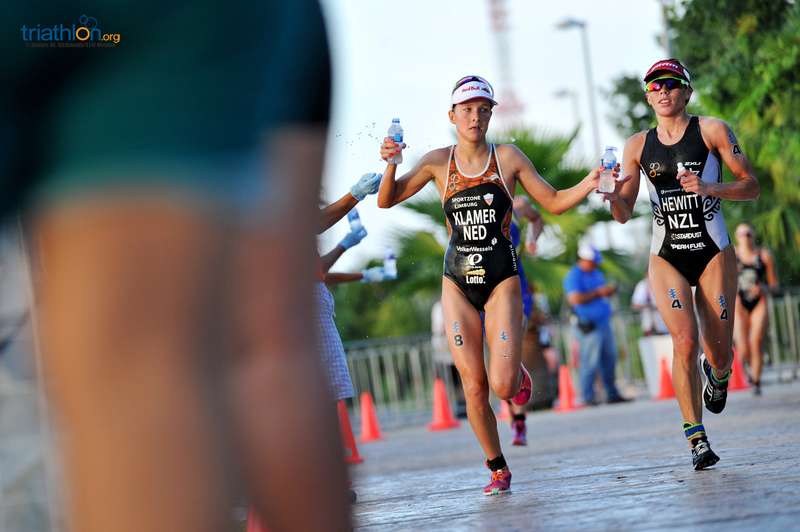 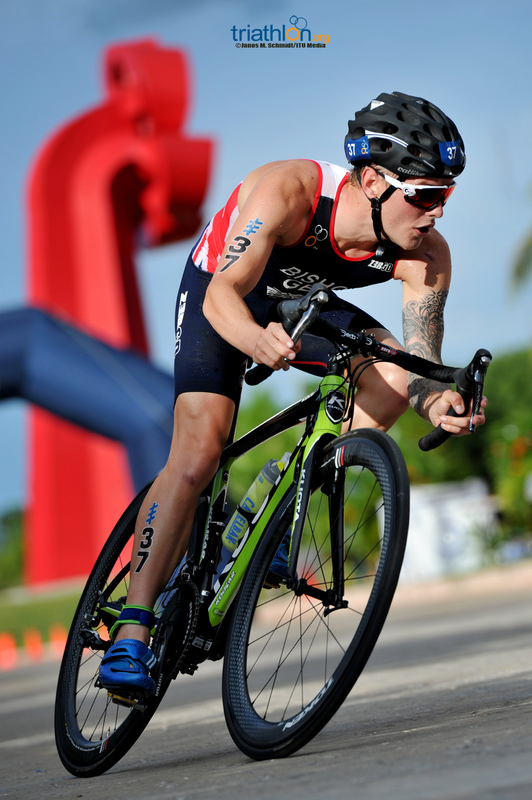 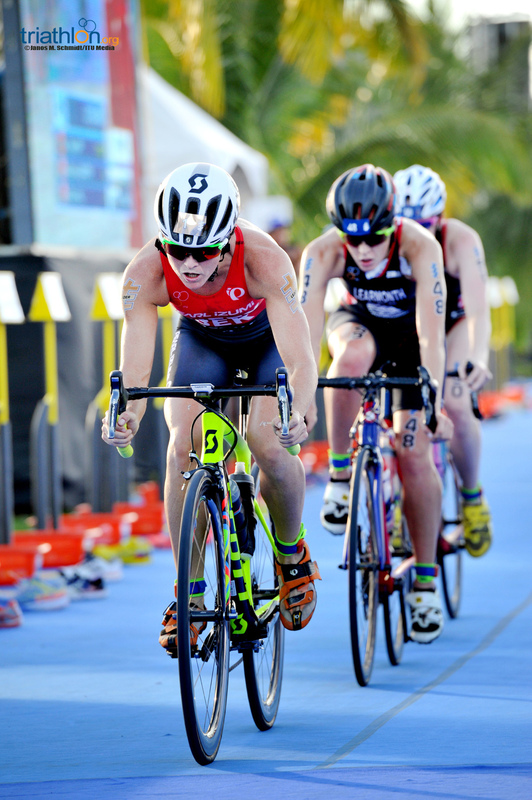 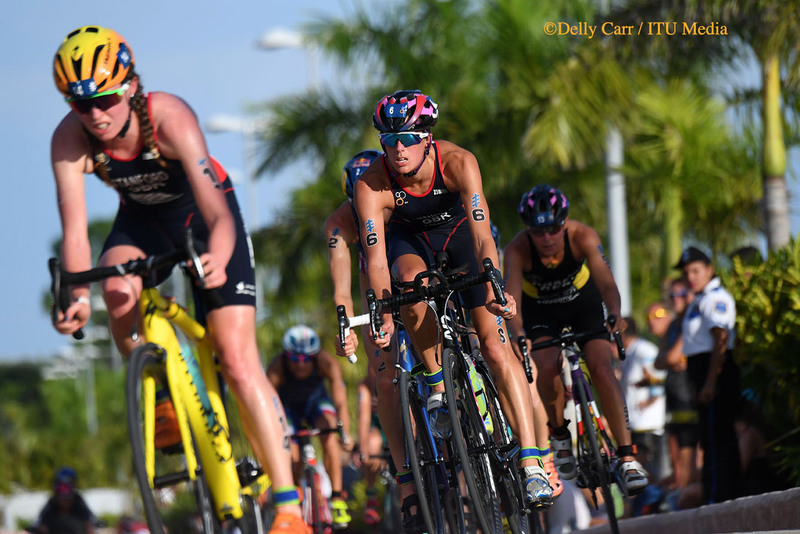 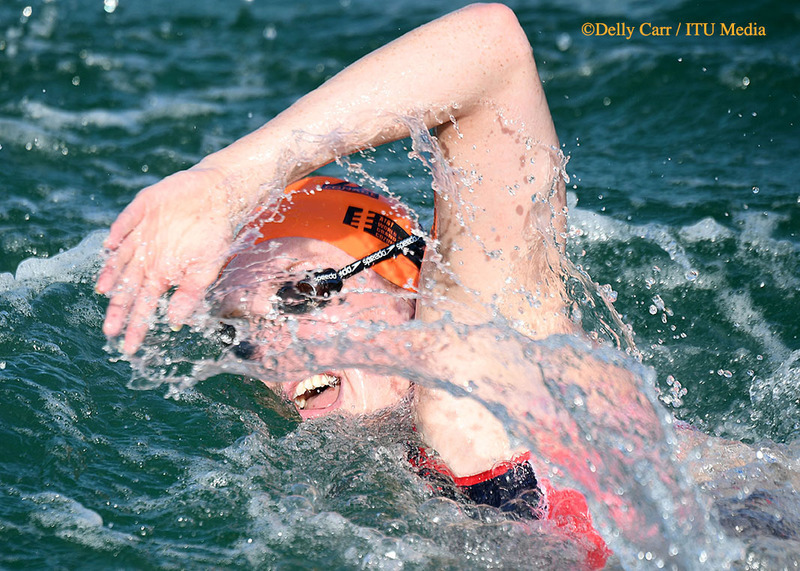 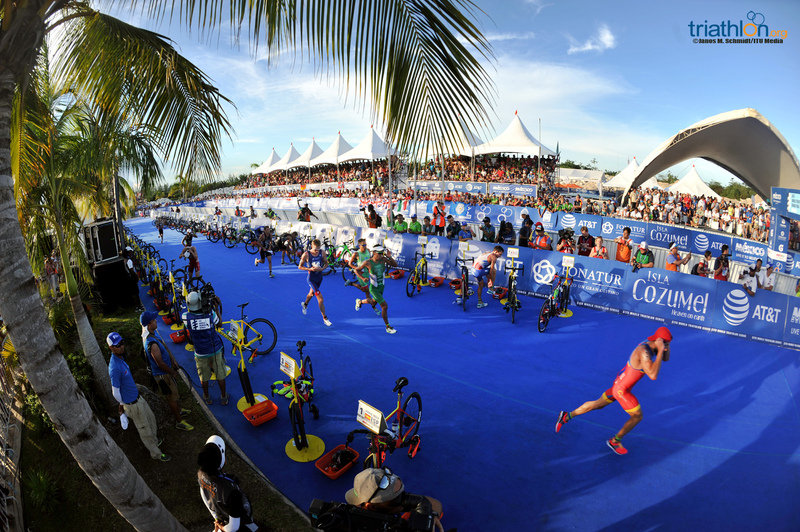 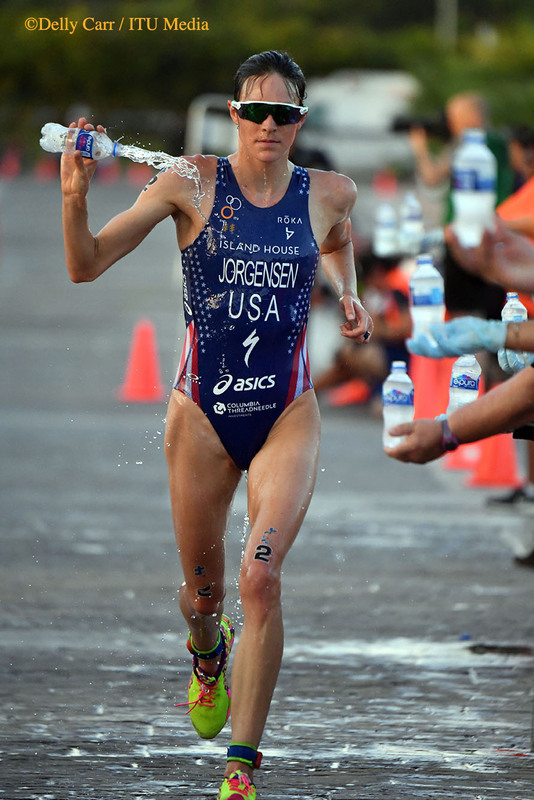 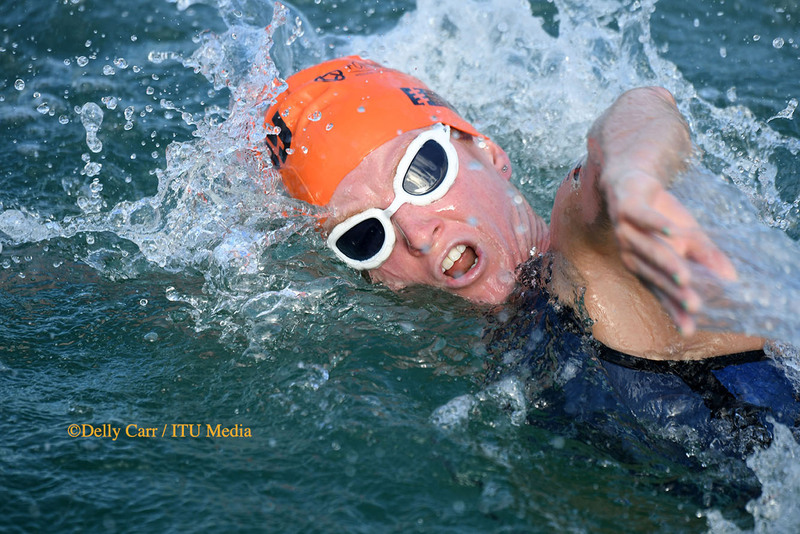 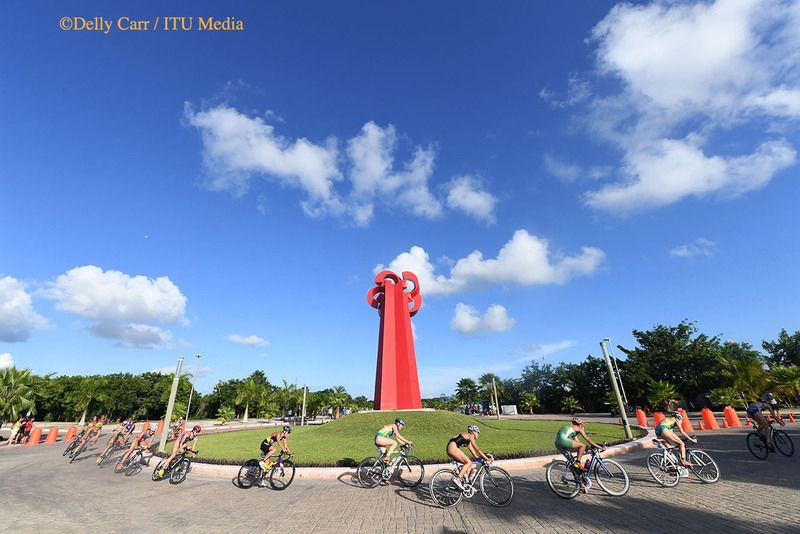 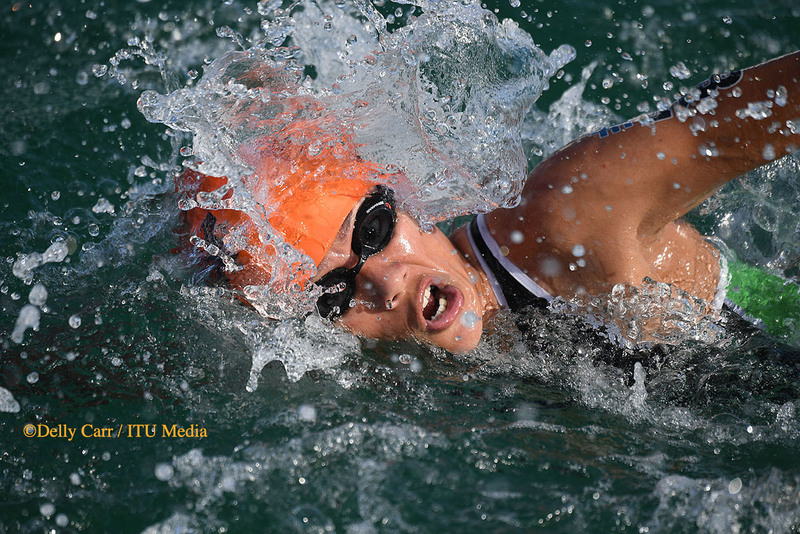 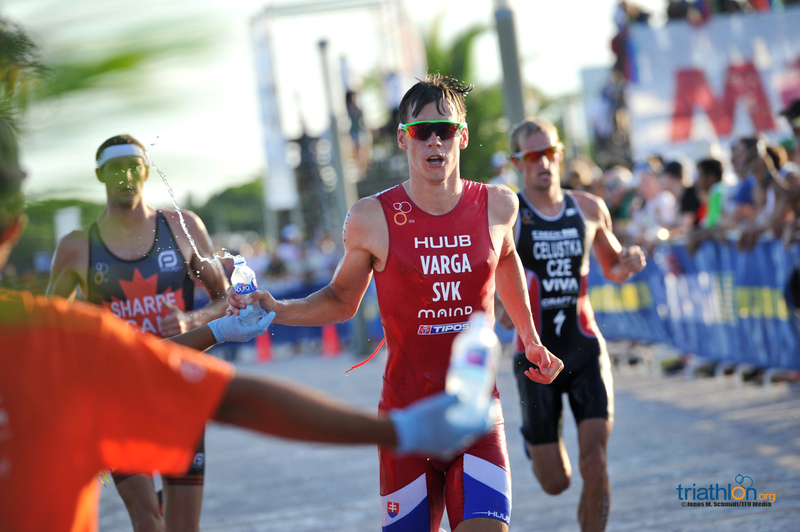 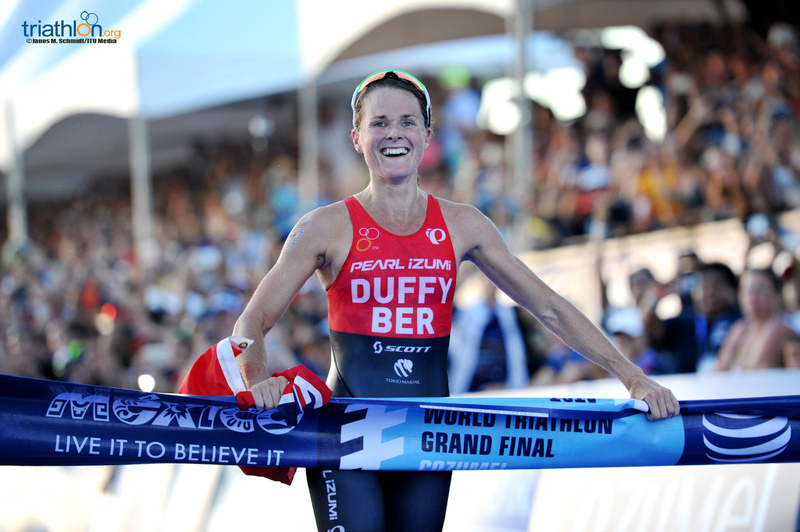 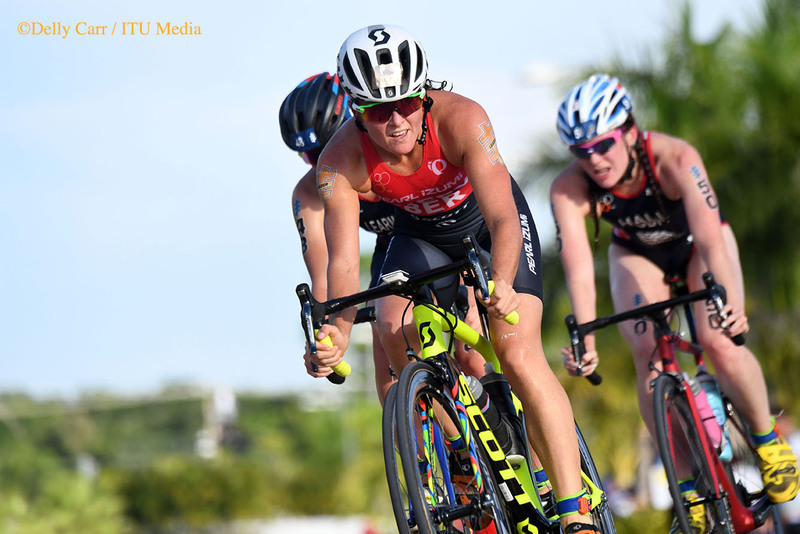 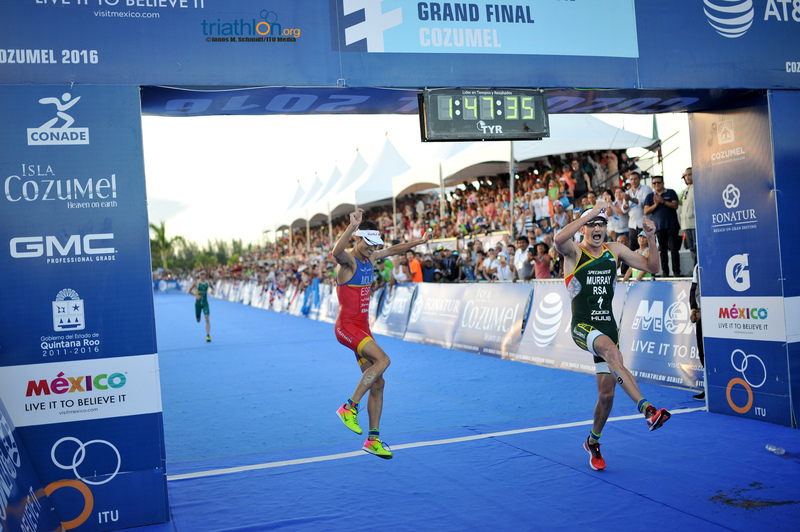 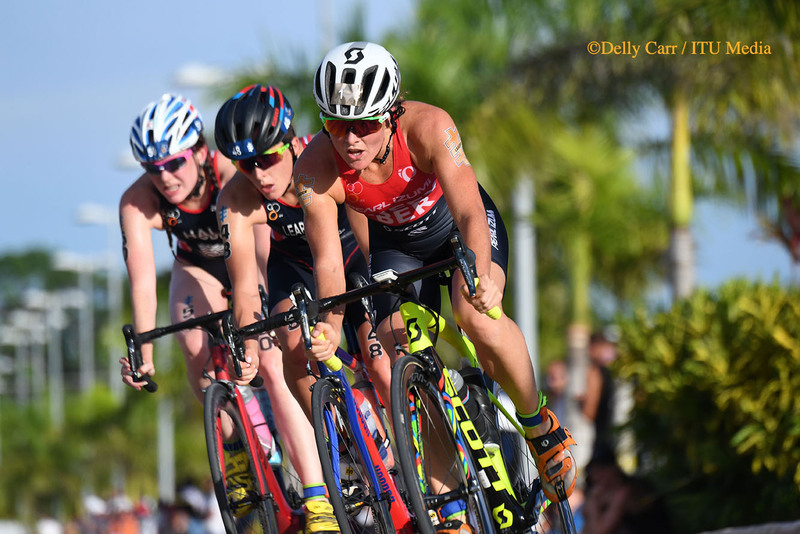 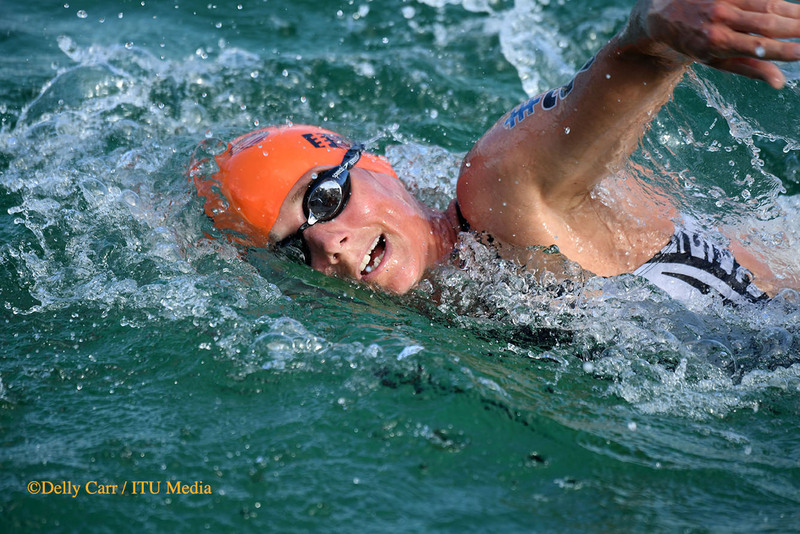 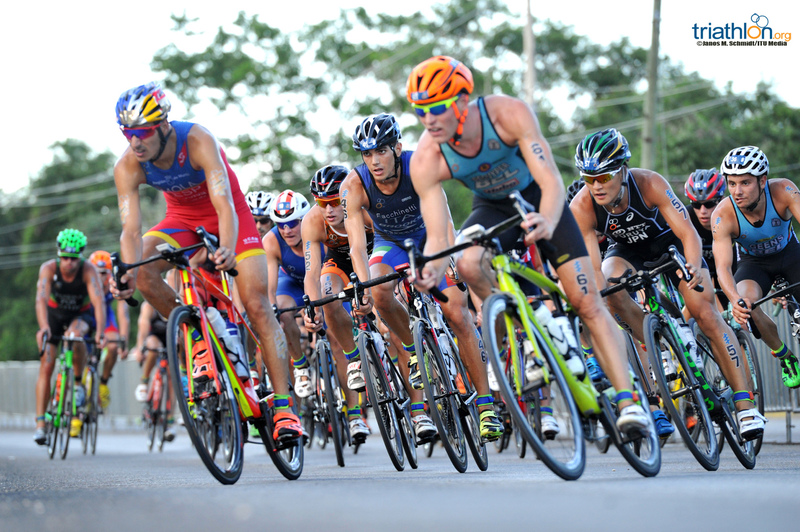 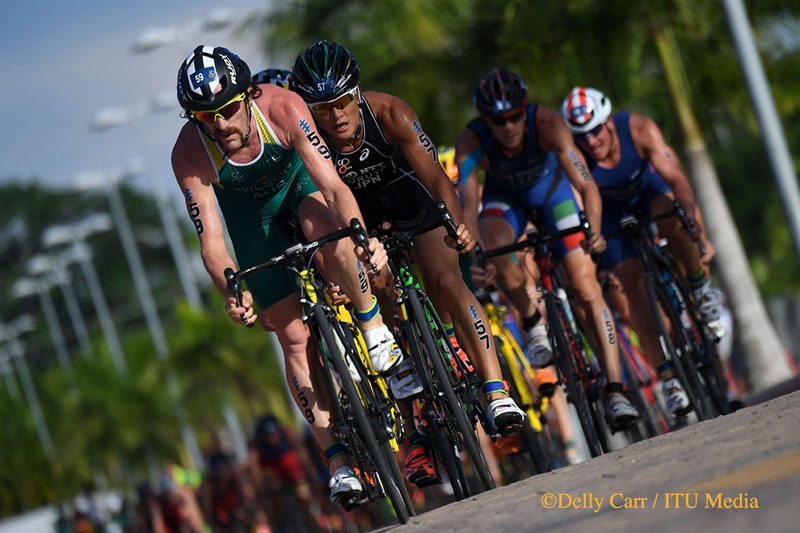 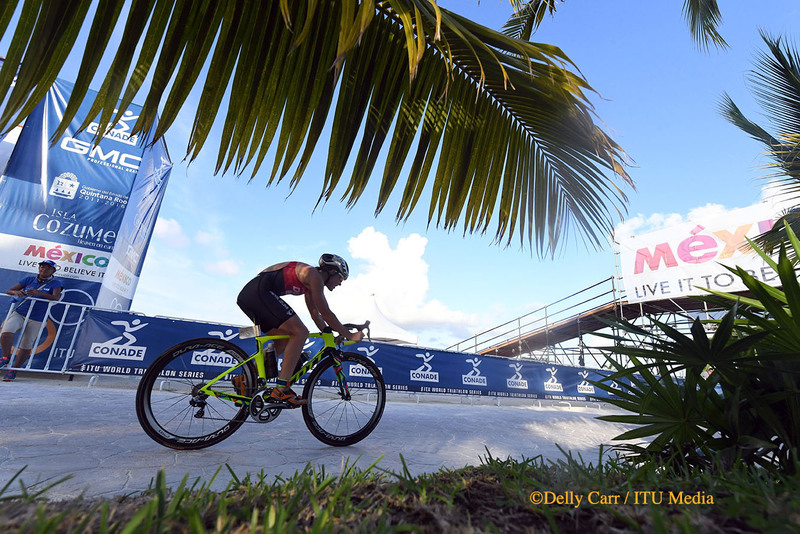 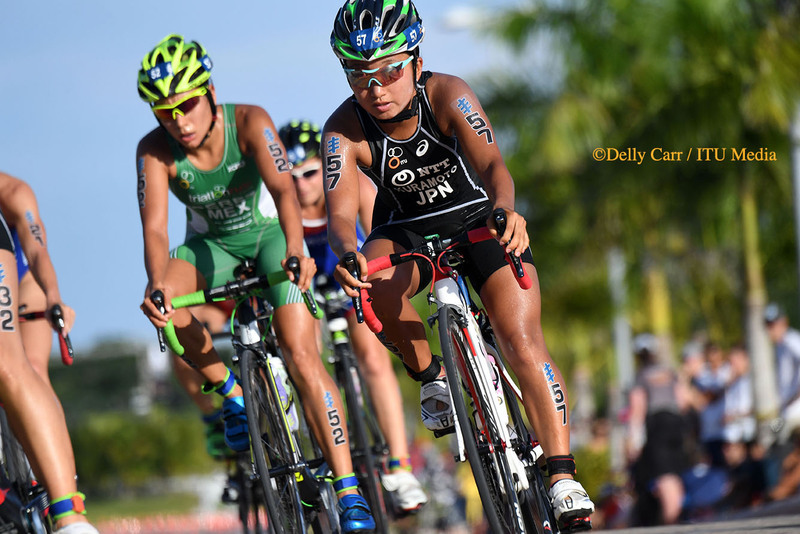 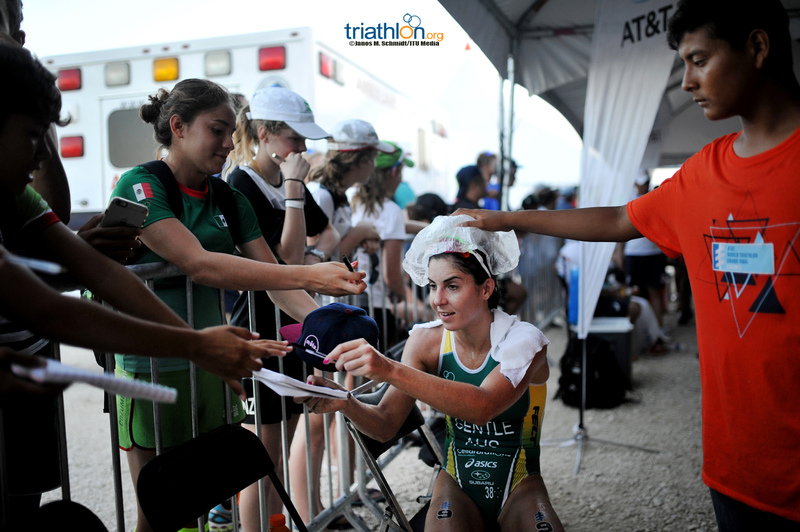 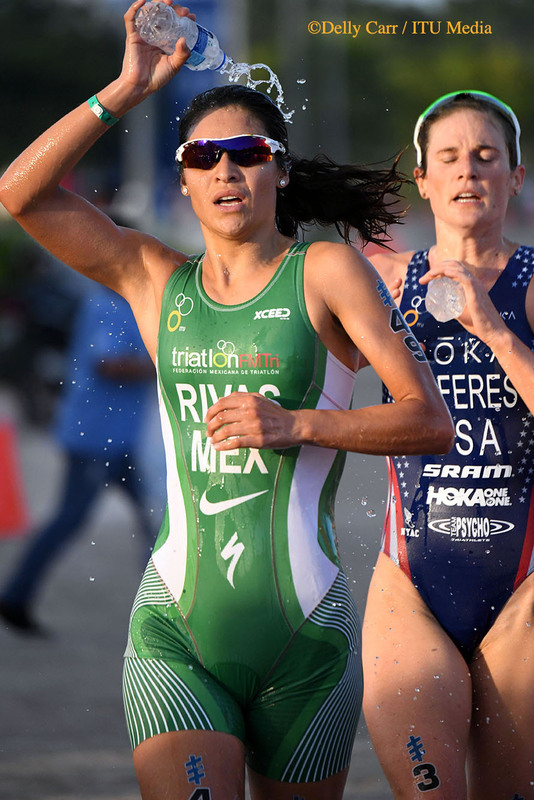 The elite men’s race was the final race of the 2016 ITU World Triathlon Grand Final Cozumel, so as the men entered the ocean, they would close out a busy and phenomenal week of world championship racing. 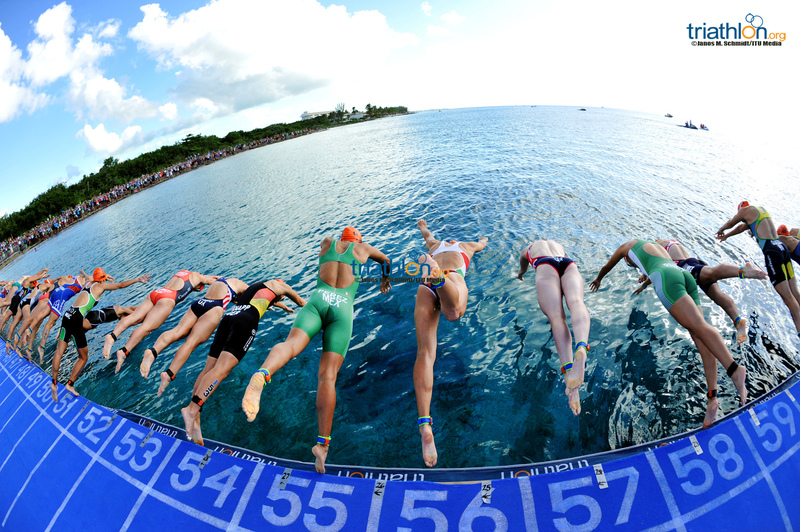 The 1500m swim did not see the field spread out much. 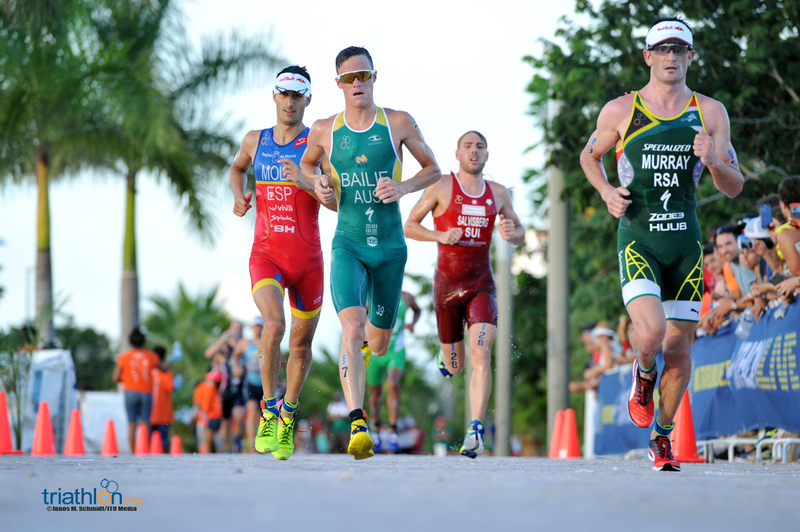 However, despite the men staying pretty bunched together, a few names edged out just slightly ahead. 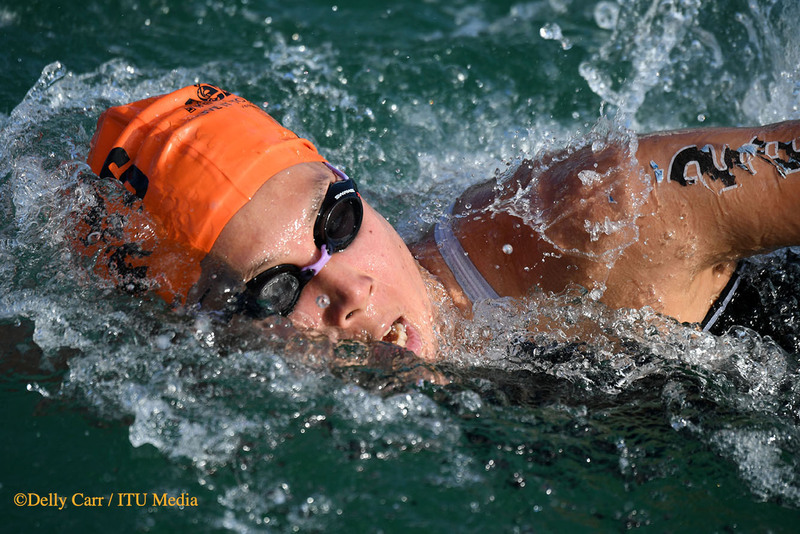 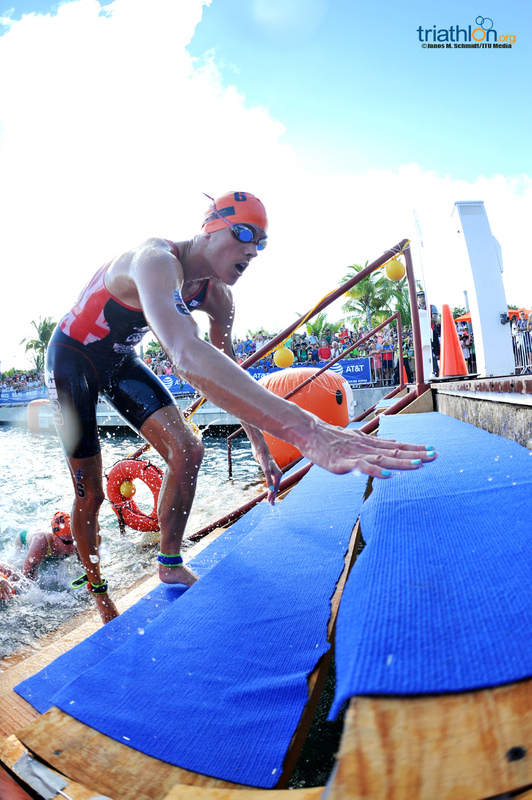 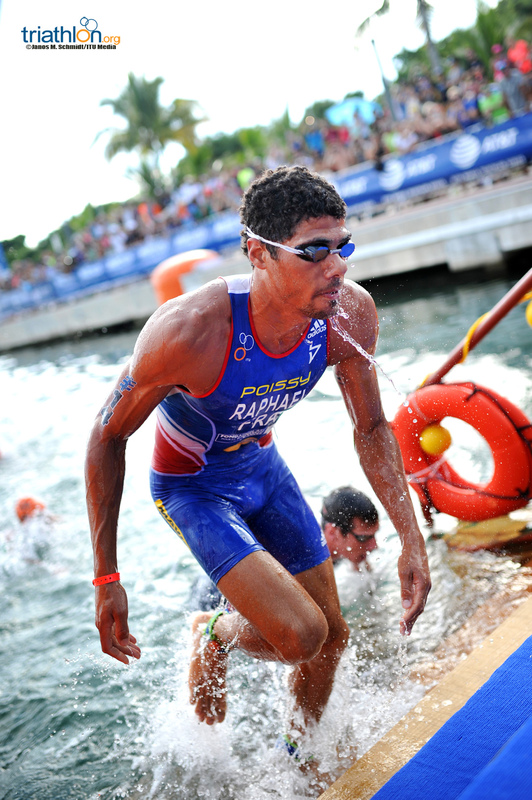 As the swimmers exited the open water and into the marina, Frenchman Aurelien Raphael pushed the pace on and exited the water as the leader into the first transition. 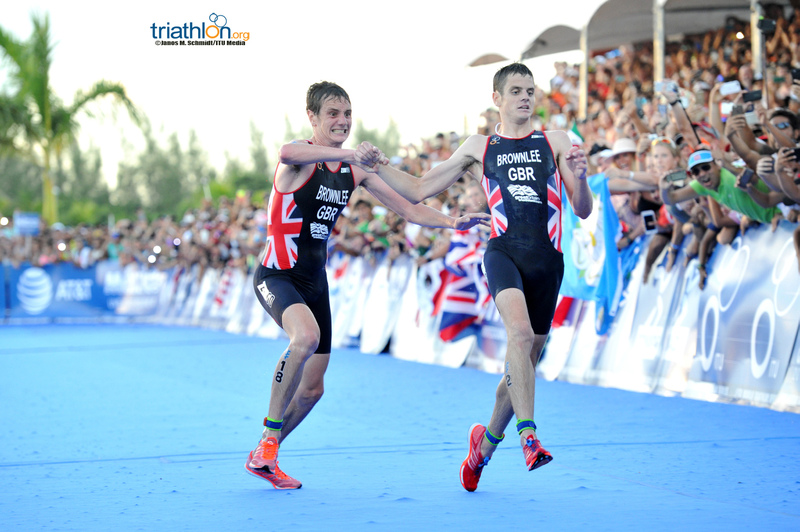 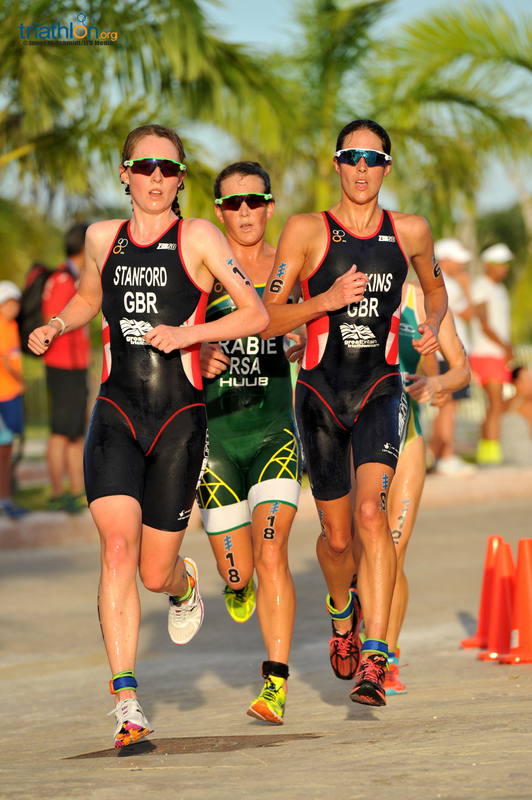 The Brownlees exited the water next out in front. 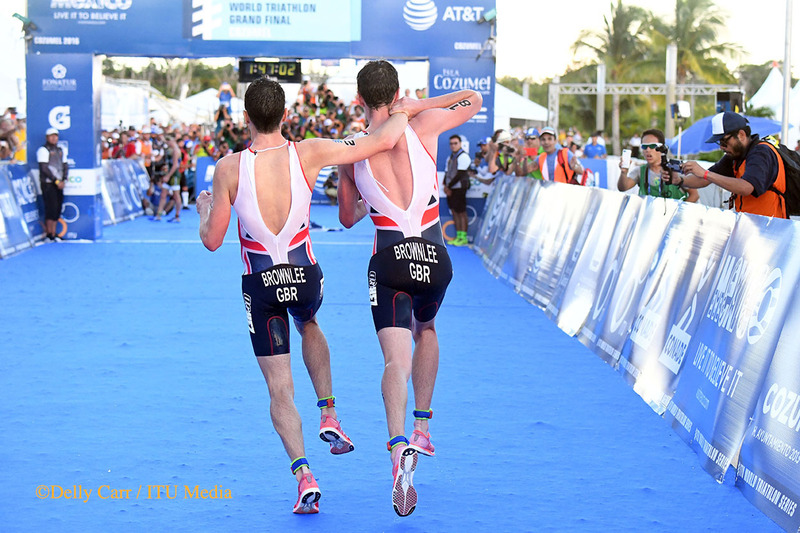 They were two of the leading men to enter T1, which allowed Jonny to get onto the bike first and form a bike pack. 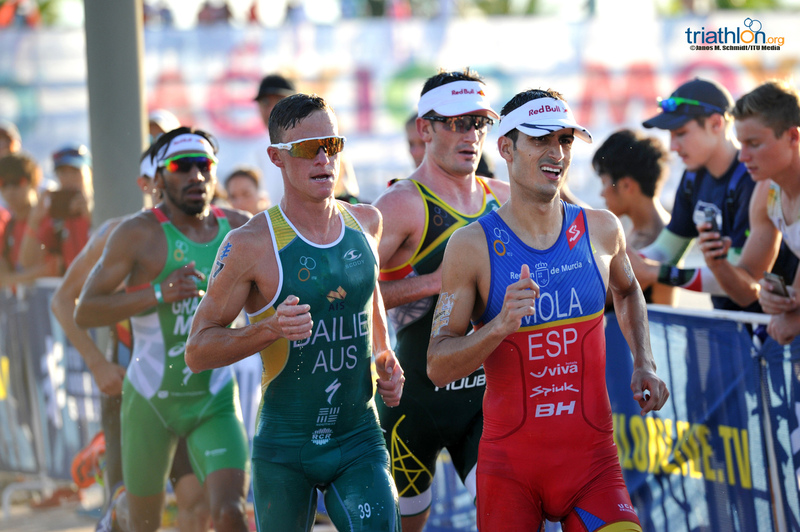 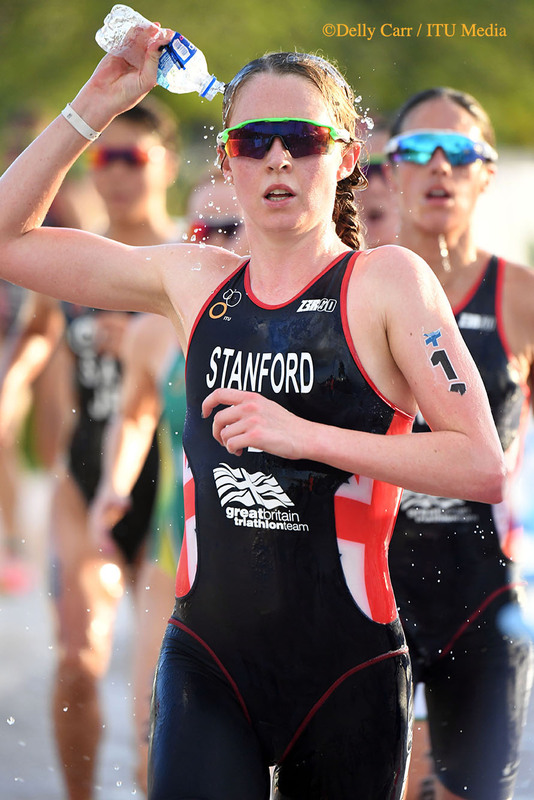 Early on, a group of nine men, which included the Brownlees, Aaron Royle (AUS), Greg Billington (USA) Raphael, Alessandro Fabian (ITA), Joao Pereira (POR), Andrea Salvisberg (SUI). 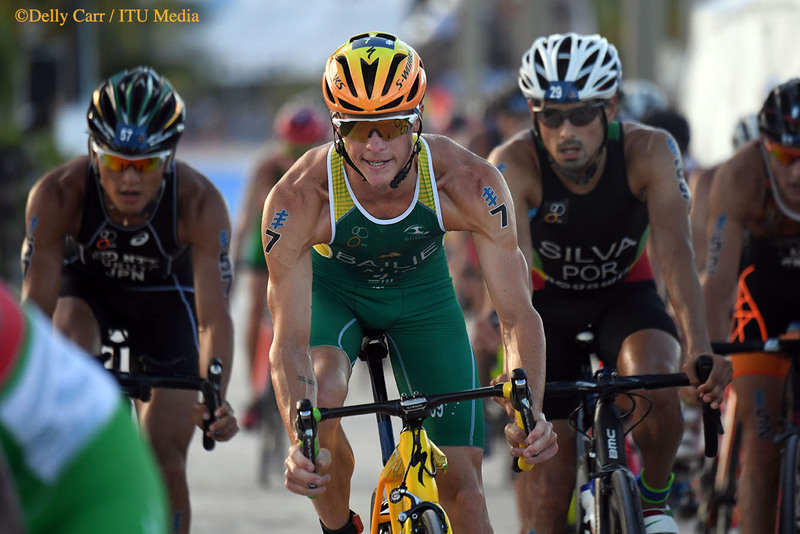 The final man was South Africa’s Schoeman, setting the scenario up as a recreation of the Rio de Janeiro Olympic games. 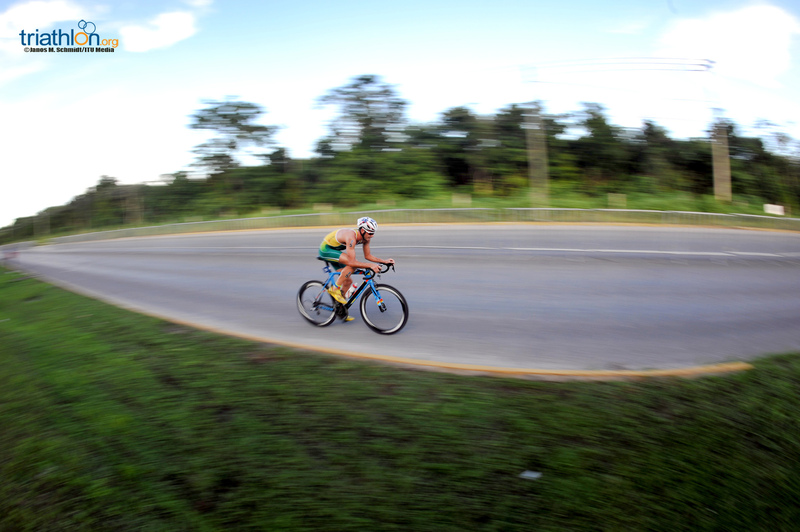 Mola left the swim without goggles and a swim cap, so he found himself trailing by 21 seconds heading out onto the bike. 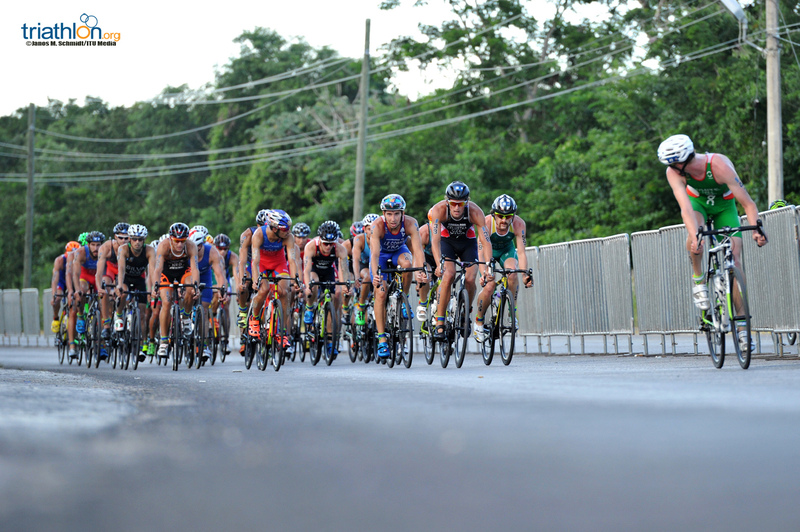 He was forced to join the massive chase pack that tallied 44 men after the first lap. 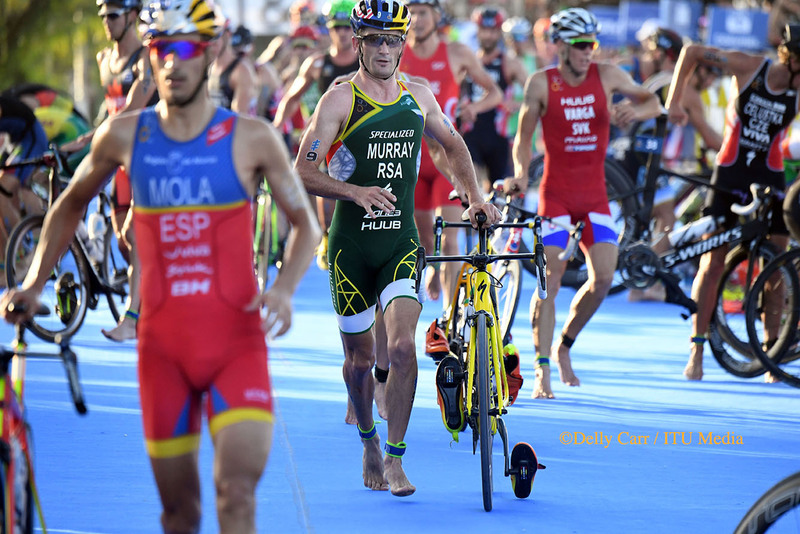 Training partner Richard Murray (RSA) also came out of the water about 30 seconds down, so he would join onto the chase as well. 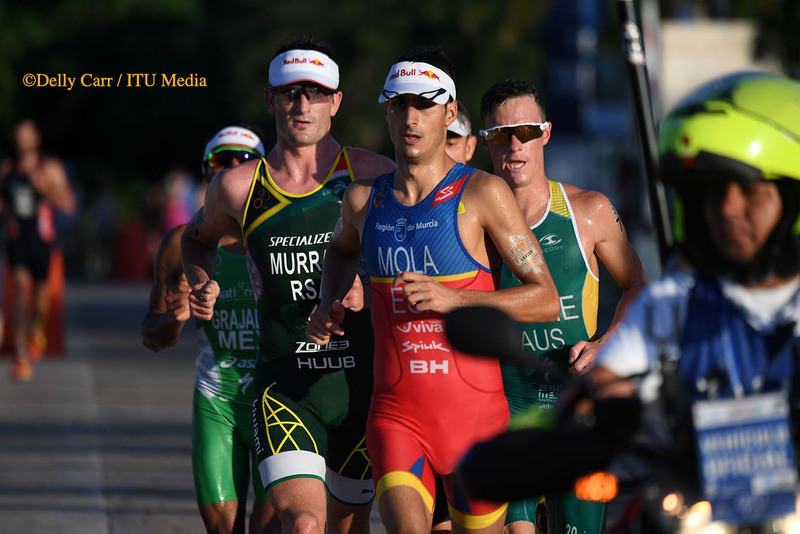 With all three Olympic medallists in the mix, the leaders valiantly worked to gain as much space as they could between the Spaniard, who was trailing behind. 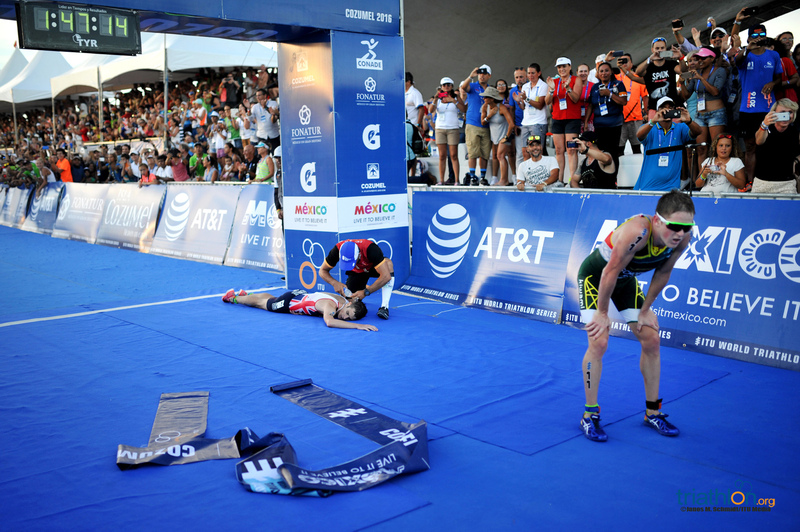 And they were successful. 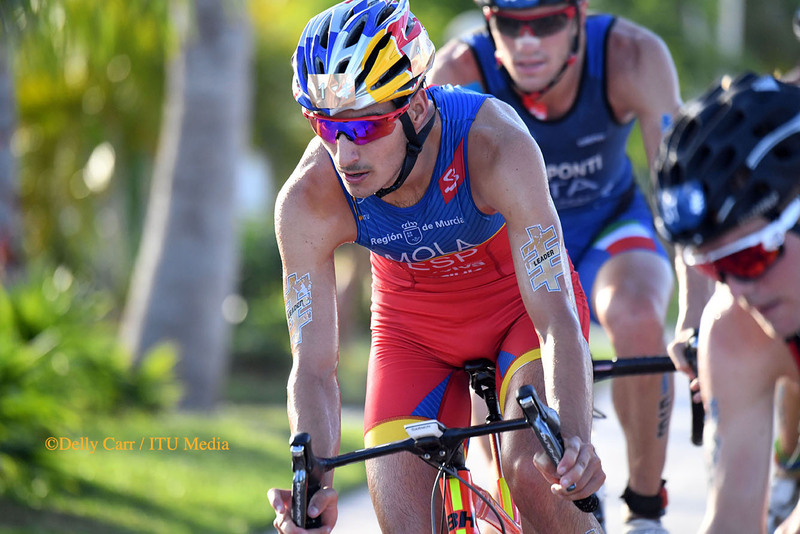 After Pererira fell back and joined the chase, the frontrunners that now accounted for eight men increased their lead lap after lap. 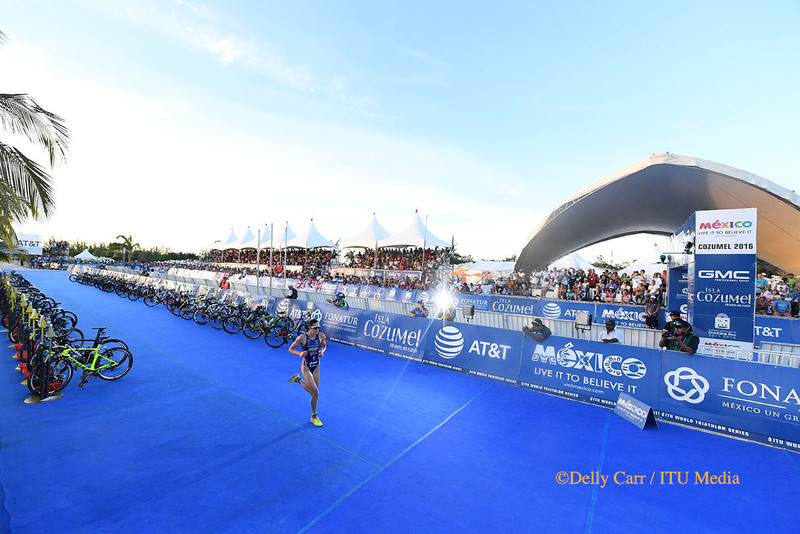 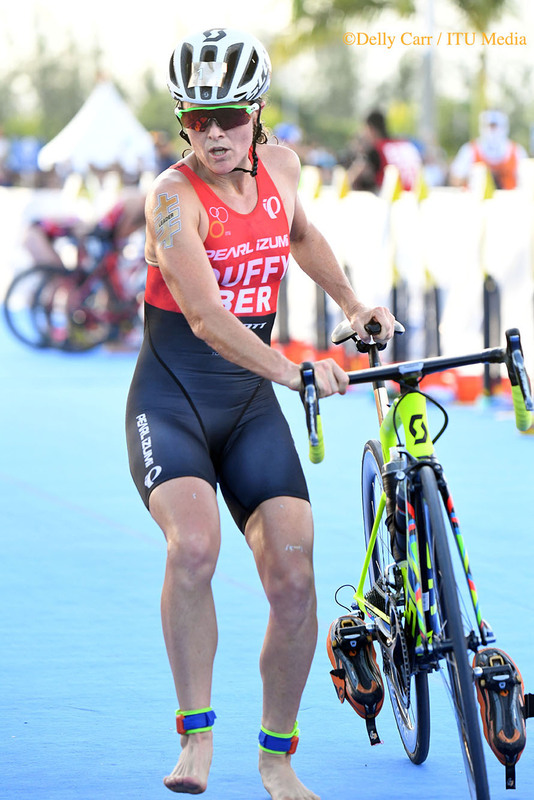 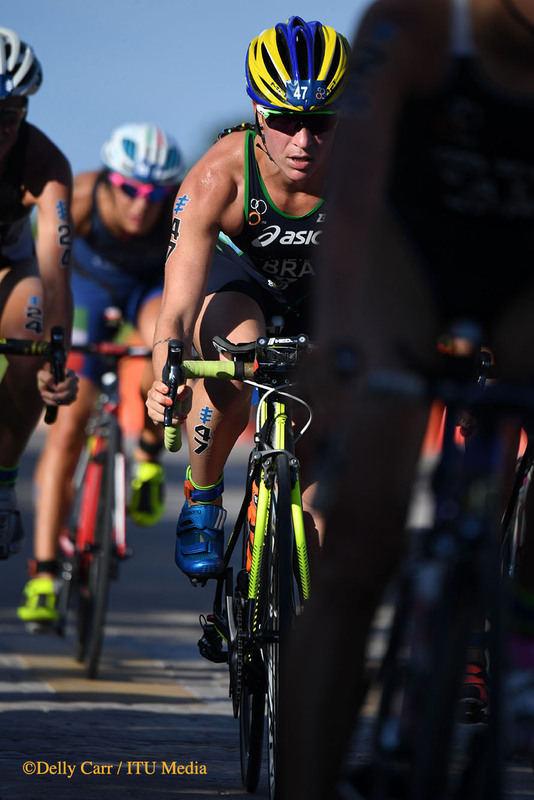 While at the halfway mark they had built up a comfortable gap of 46 seconds, they decided they wanted more and as they dismounted their bikes and headed into T2, the gap had doubled to 1:39. 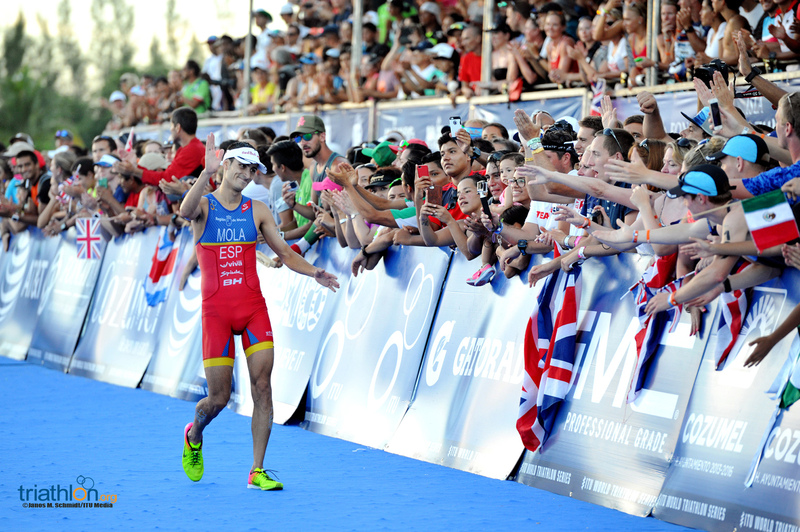 It was obvious that Jonny was gunning for a world title. 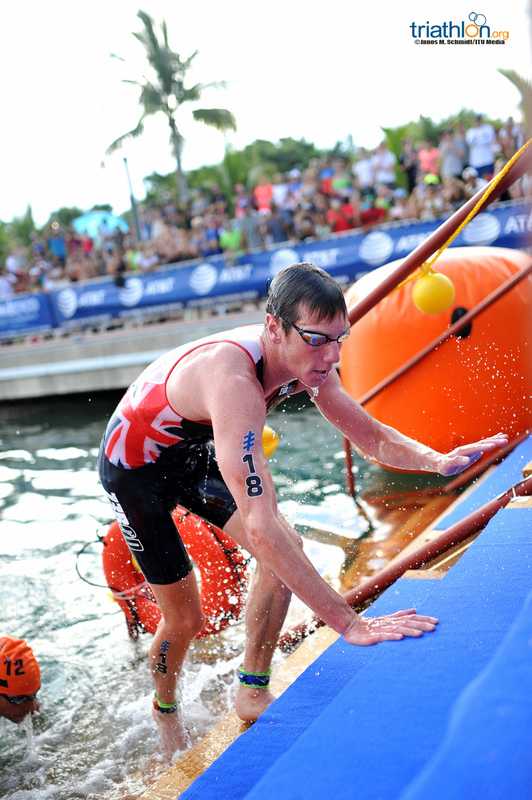 A furious transition saw him blast out of the gates and onto the run, swiftly claiming the top position. 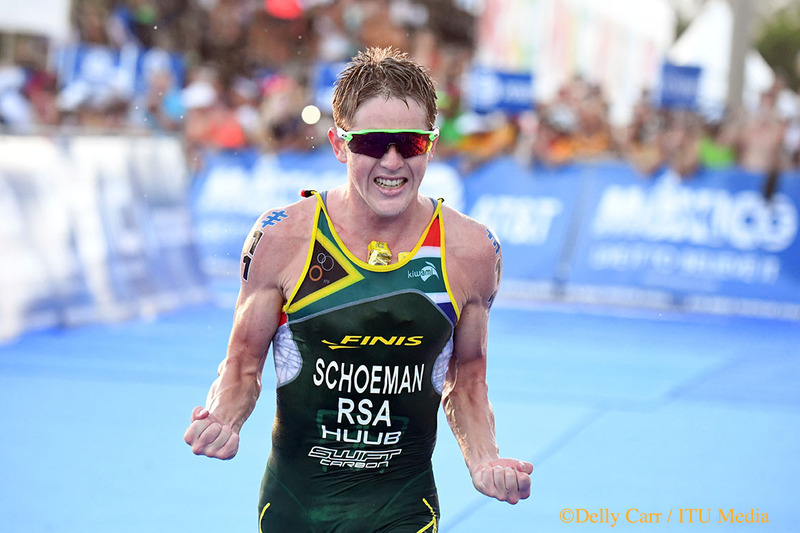 But the performance of the day went to Schoeman, who stayed right on Jonny’s toes and would not let him start the run alone. 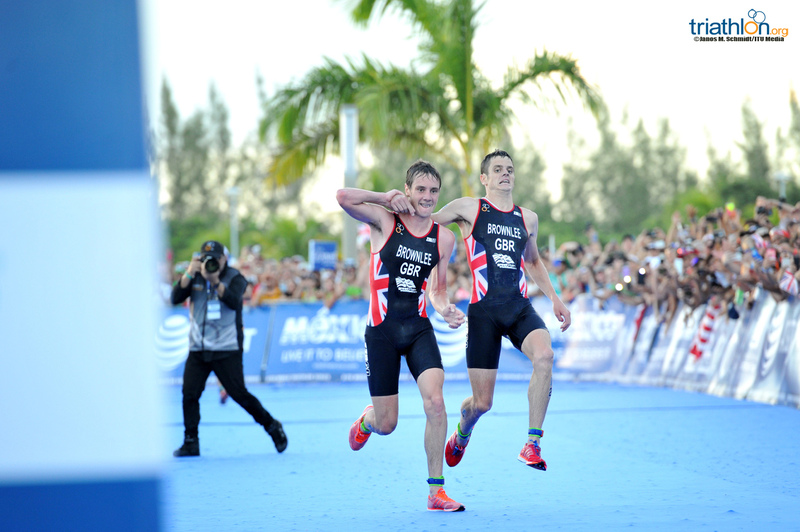 It was then on the third lap where Alistair joined and then pushed ahead slightly. 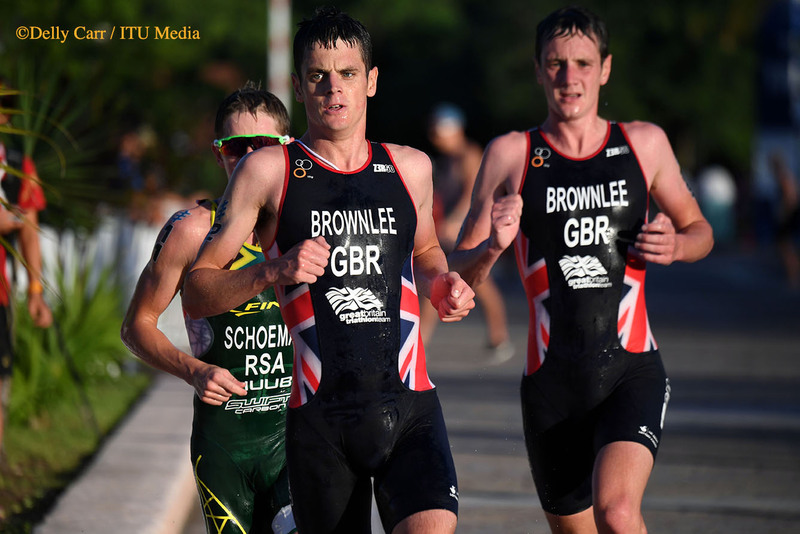 While Jonathan Brownlee had run strongly, the conditions took their toll with just under half a kilometre until the finish line. 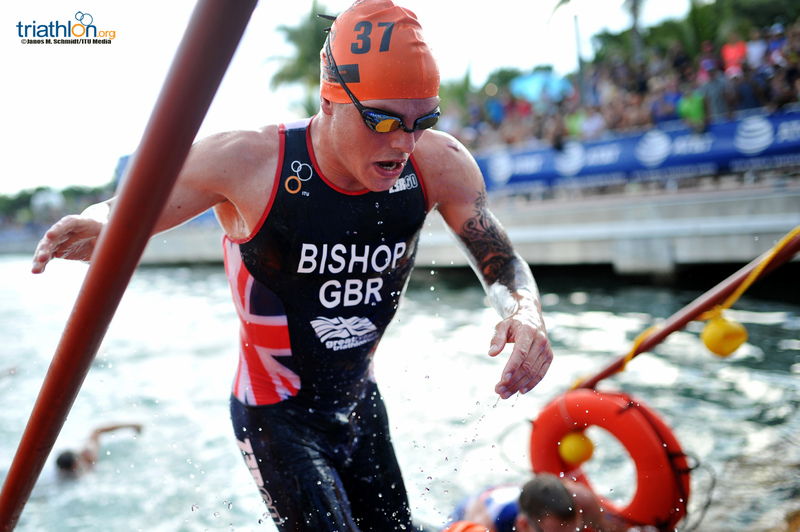 As Alistair stopped to run alongside his brother, Schoeman took the lead just as the Brownlees were hitting the end of the blue carpet. 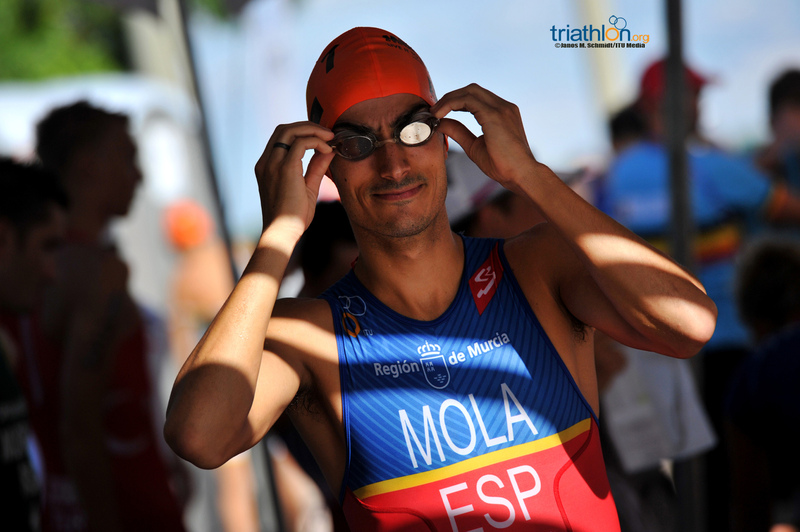 Halfway through the run, Mola was trailing by 1:12. 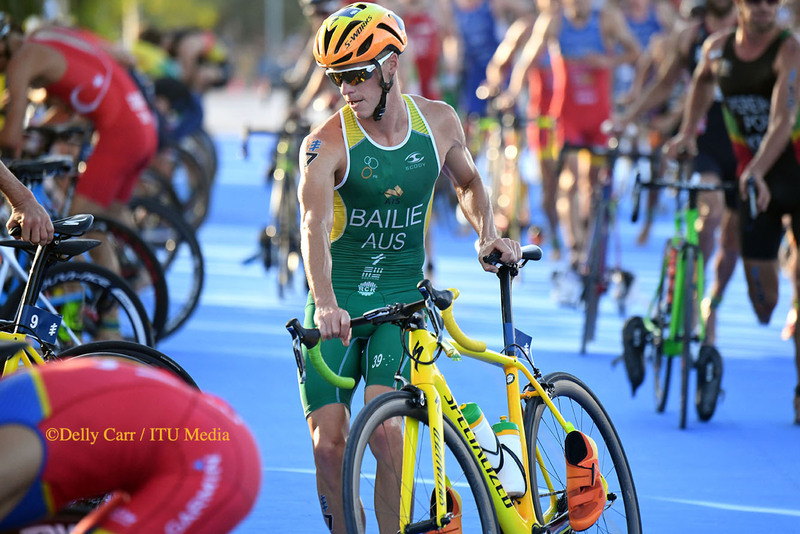 However, he found himself in a talented run field alongside Murray, Ryan Bailie (AUS) and Crisanto Grajales (MEX), so finishing near the top was still in sights. 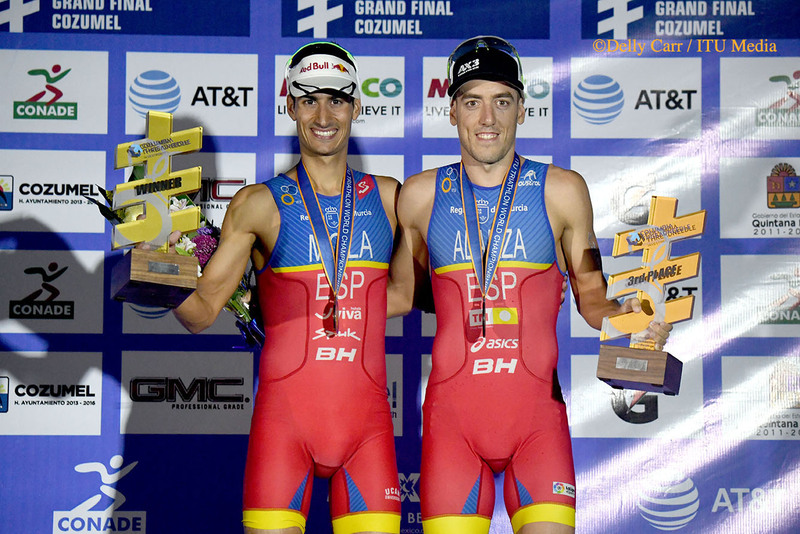 That group eventually powered past more than half of the men’s lead bike group, with Mola’s fifth-placed finish enough to secure another world title for Spain. 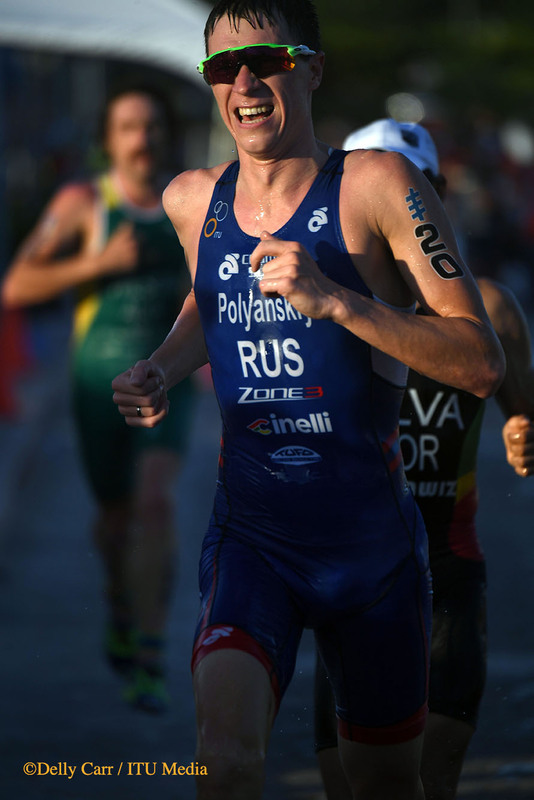 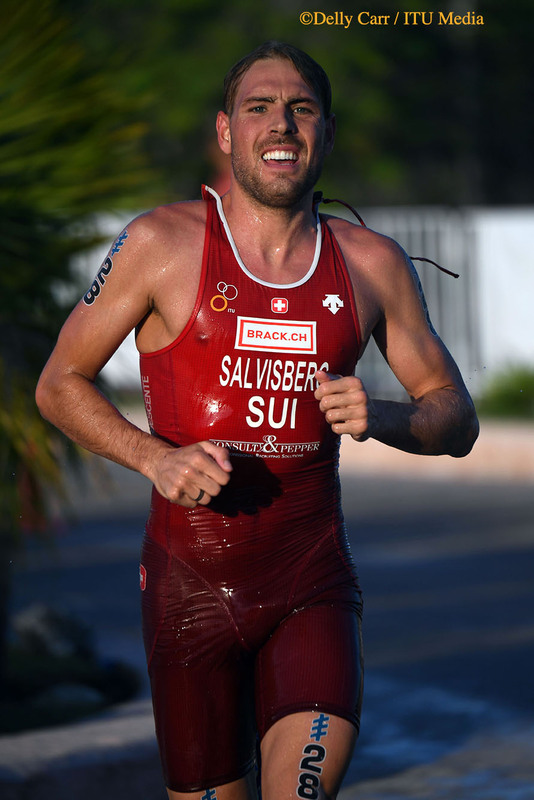 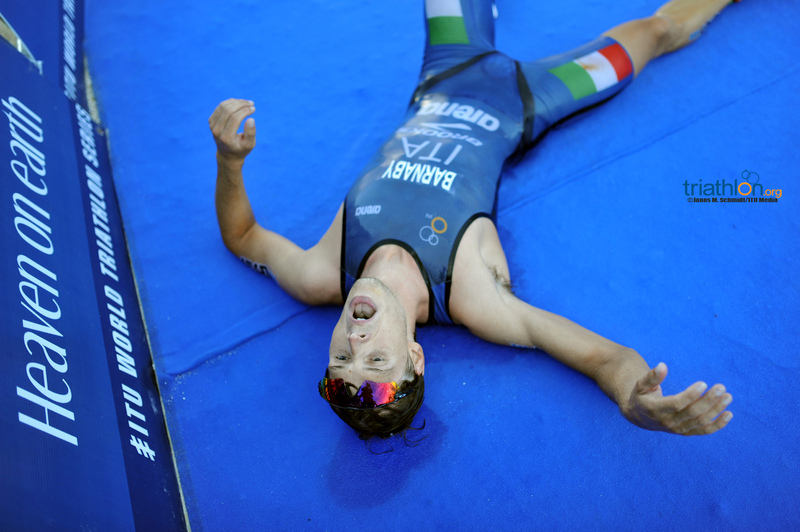 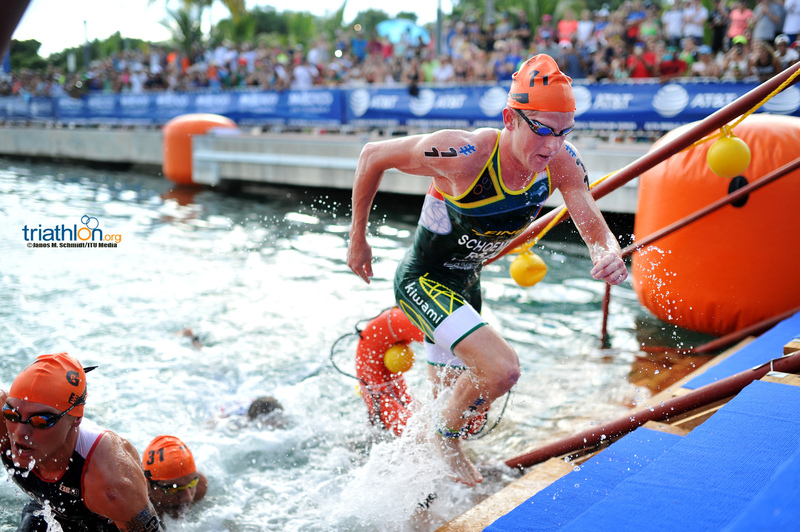 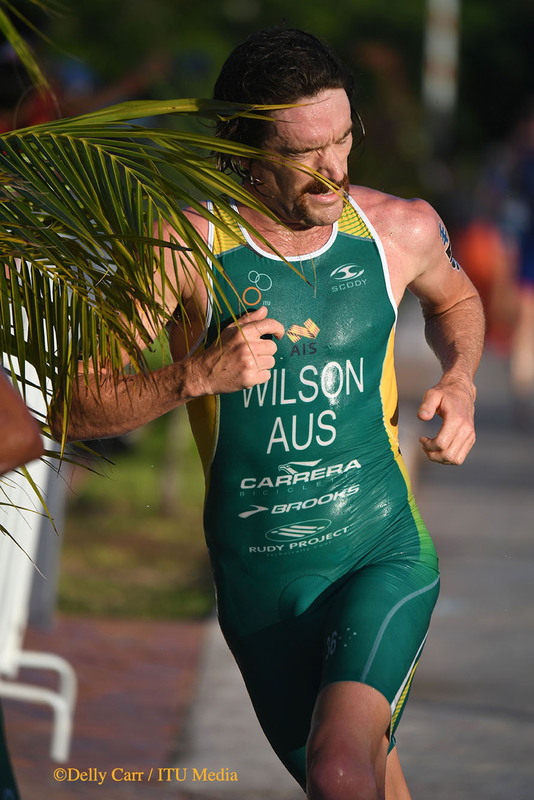 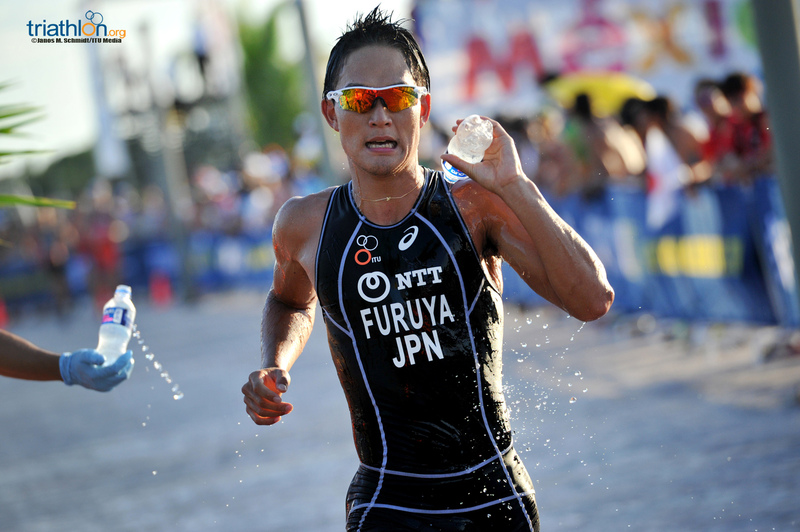 His first elite ITU world championship title, he claimed an ITU junior world championship on the Gold Coast in 2009 – where he beat Jonathan Brownlee. 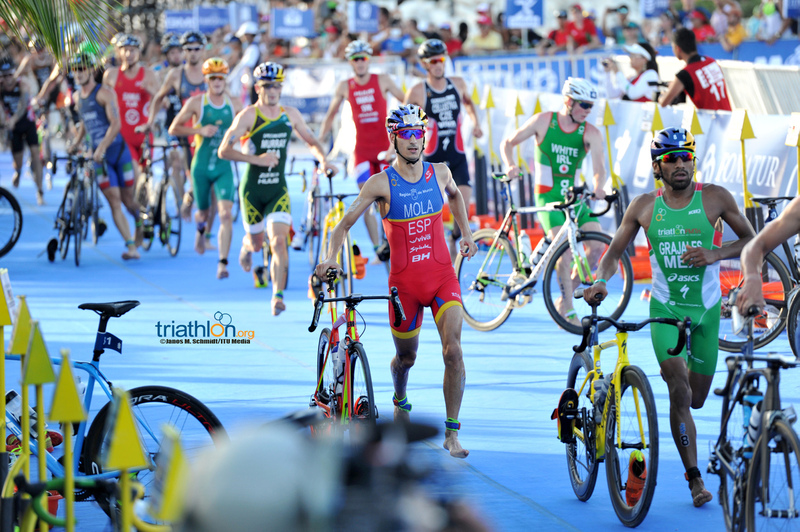 Mola joins Javier Gomez Noya and Ivan Rana as elite men’s ITU World Champions from Spain. 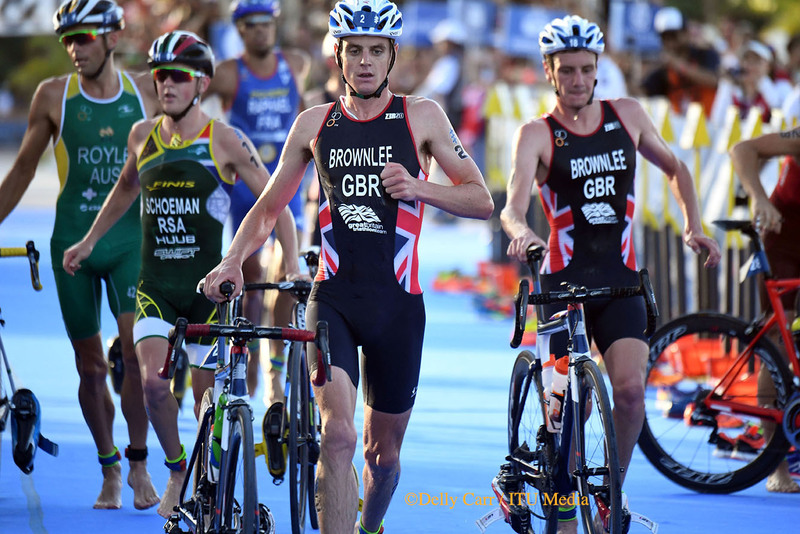 Mola’s championship also means Spain has topped the overall Series podium every year since 2012, when Jonathan Brownlee won the title. 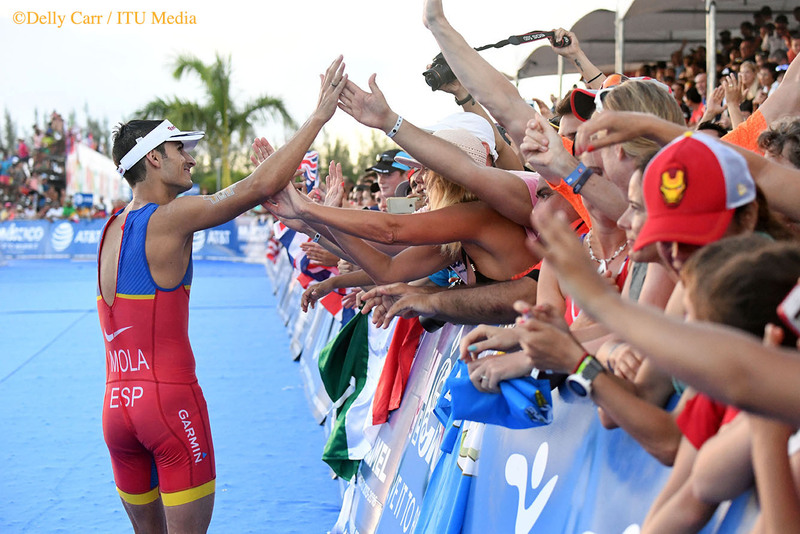 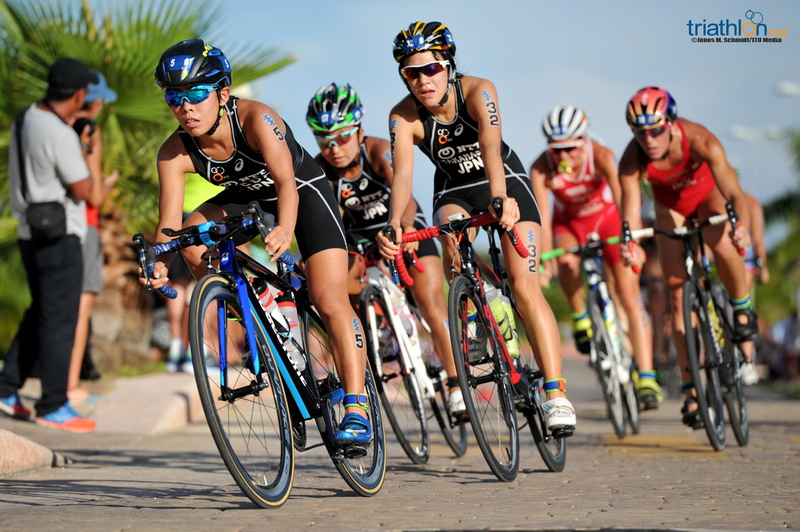 In a thrilling hour of racing that saw constant lead changes until the very last second, Spain proved victorious in the 2016 ITU Under23/Junior Mixed Relay World Championships, just edging Great Britain and Australia for the win. 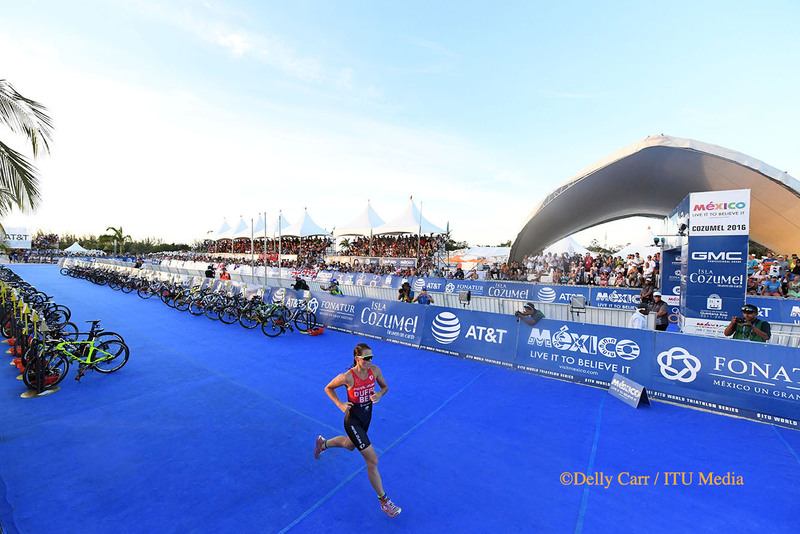 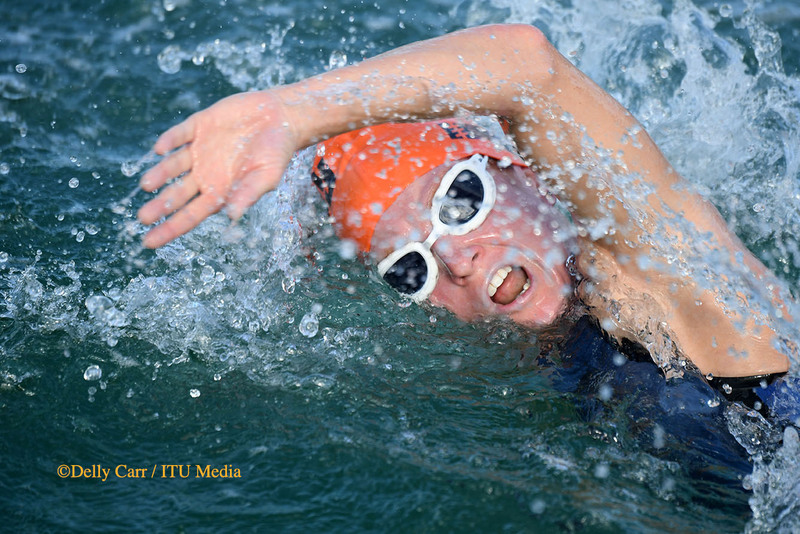 The USA’s Austin Hindman won the men’s ITU Triathlon Junior World Championship race in Cozumel on Friday with a powerful come from behind run performance.